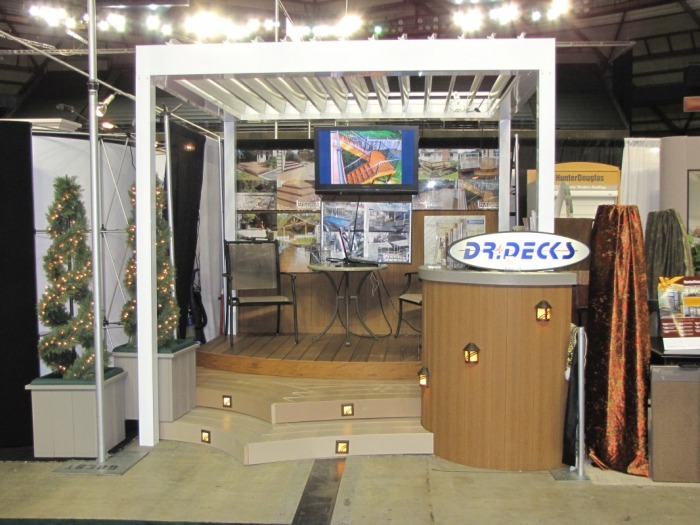 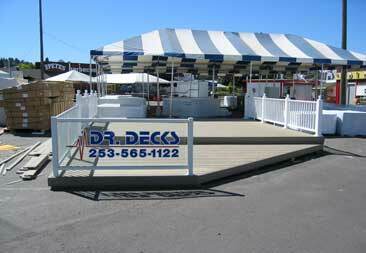 Get inspired by these works of art from Dr.Decks. 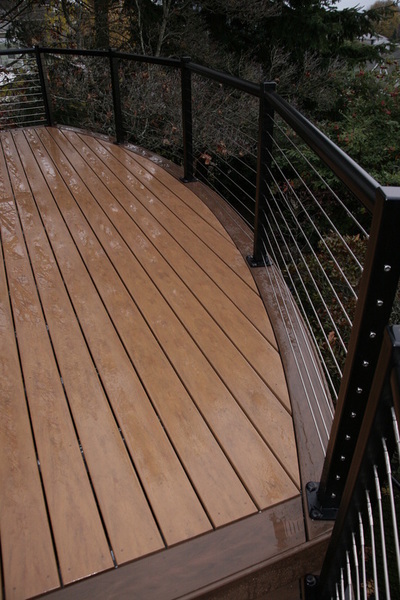 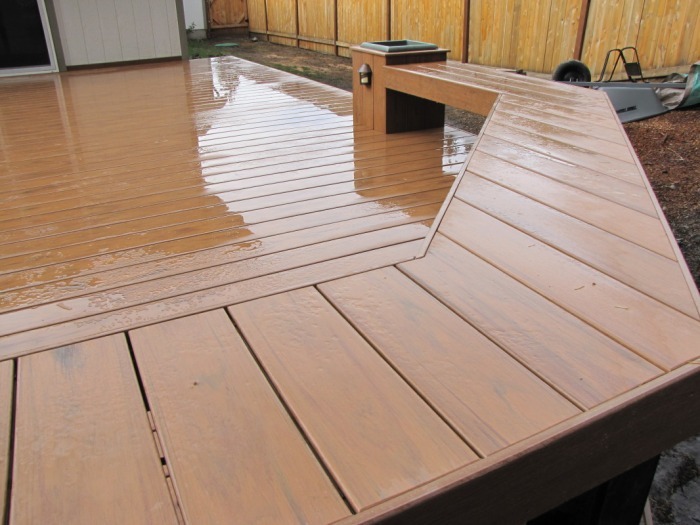 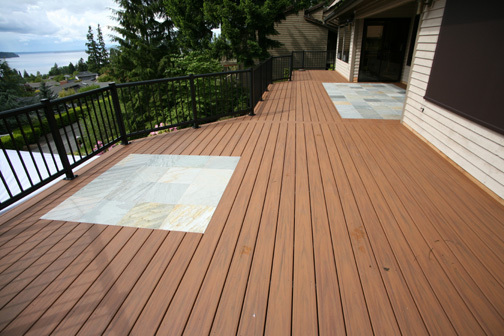 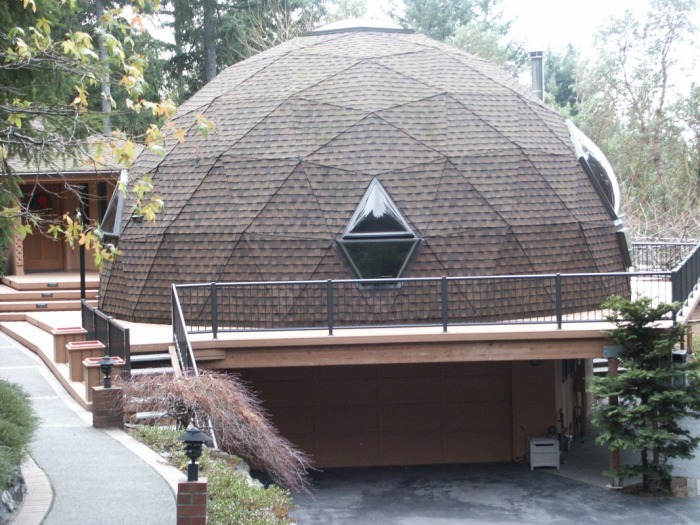 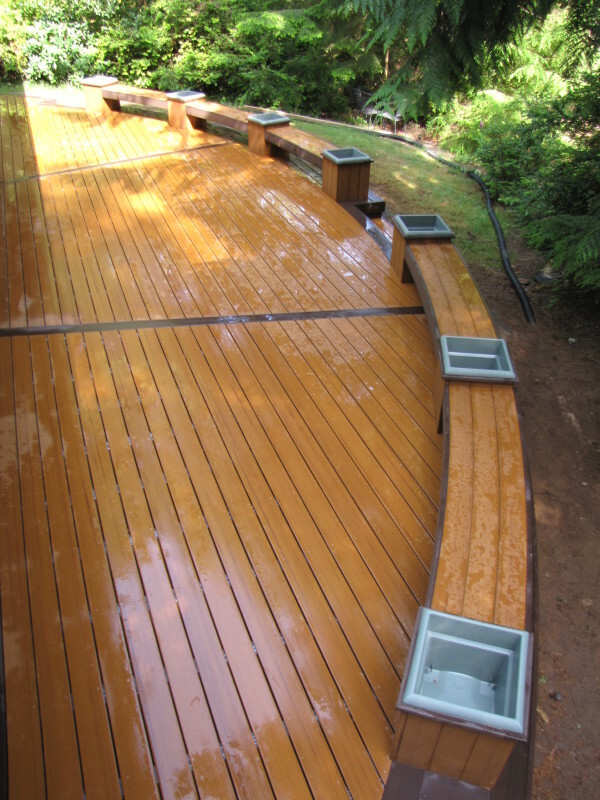 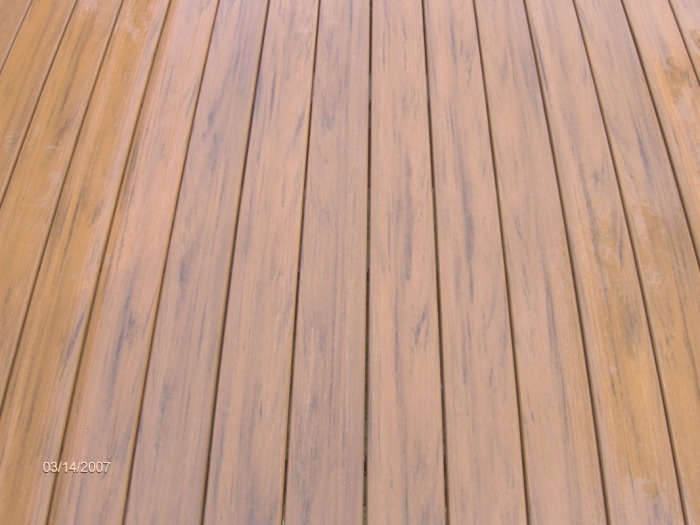 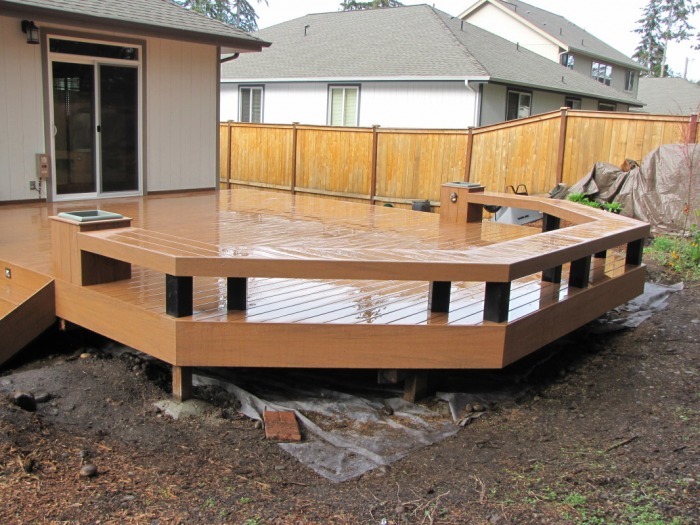 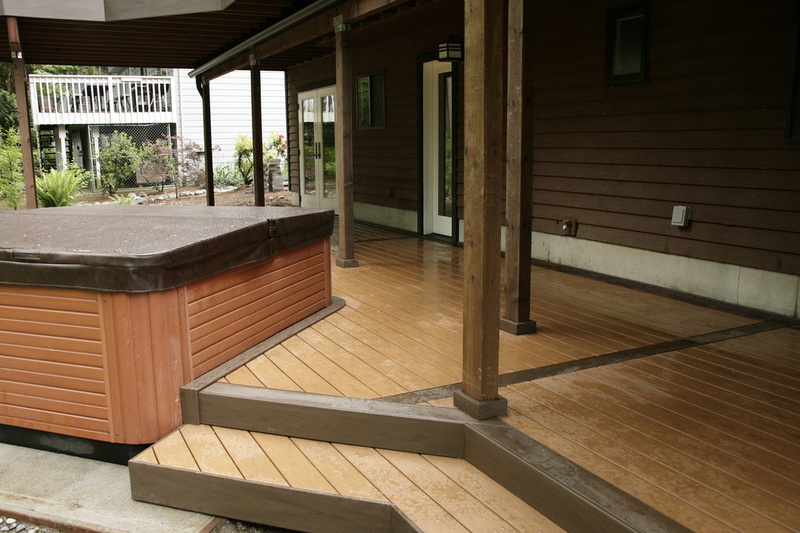 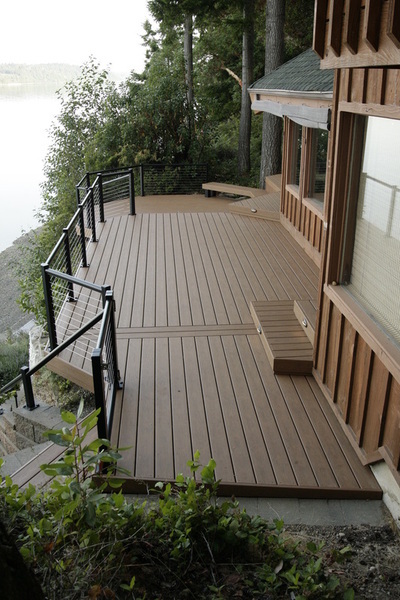 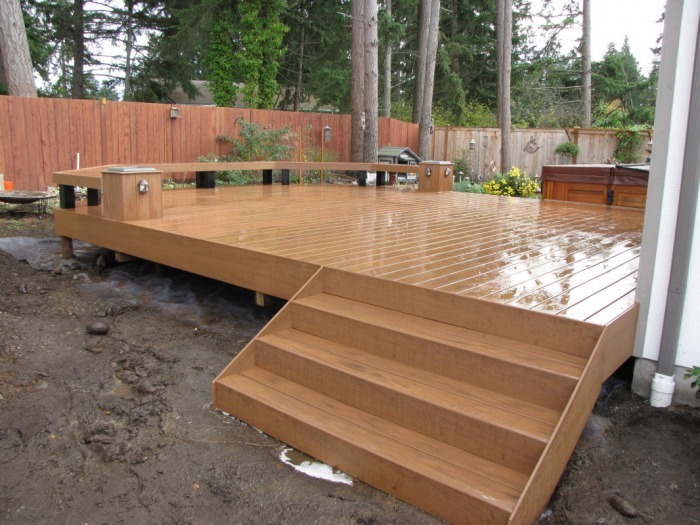 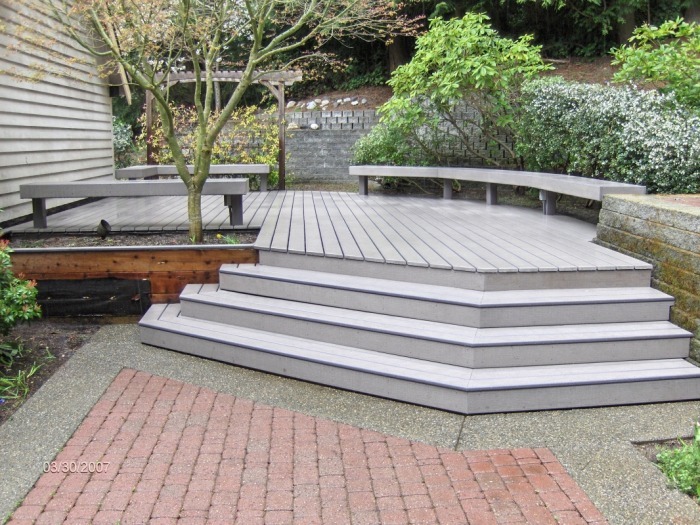 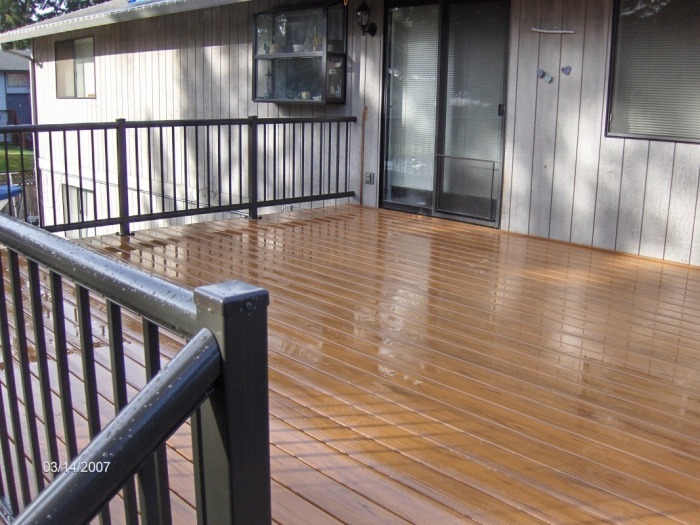 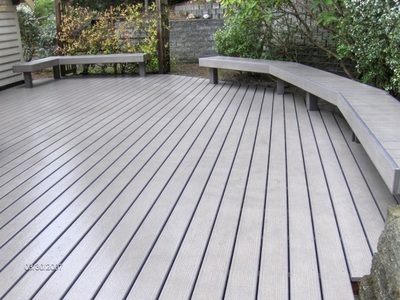 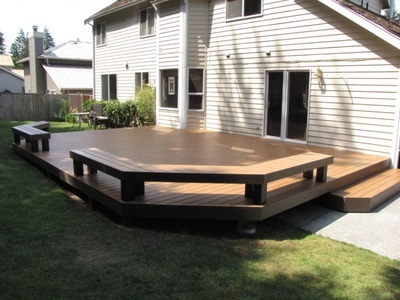 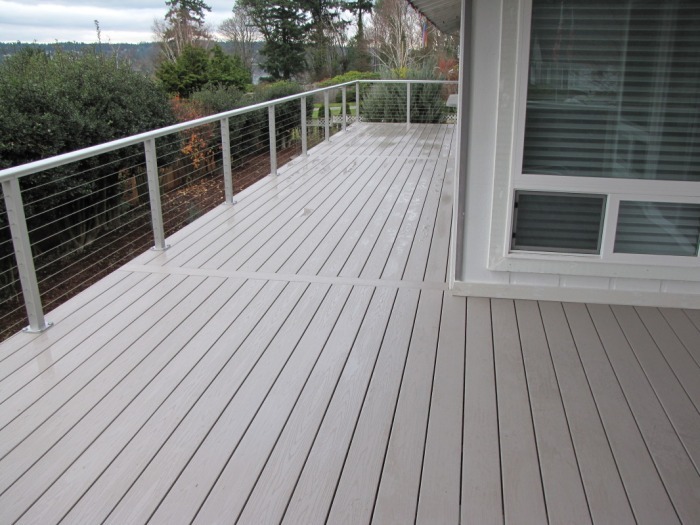 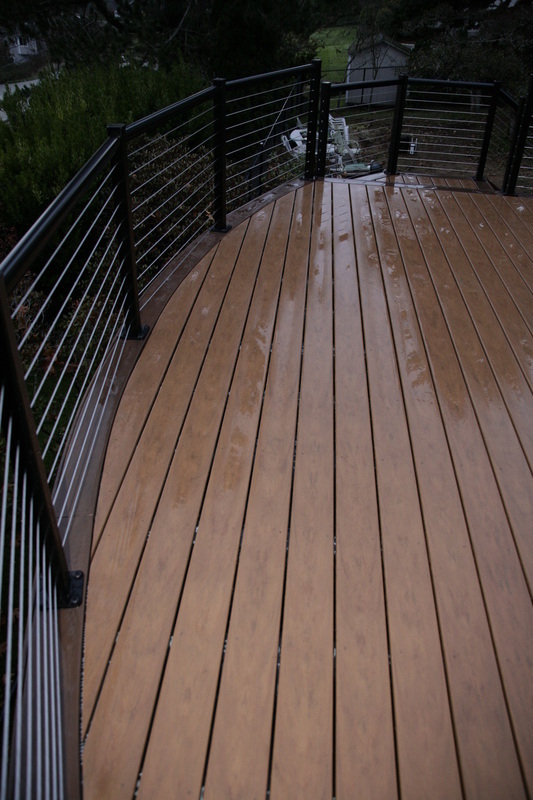 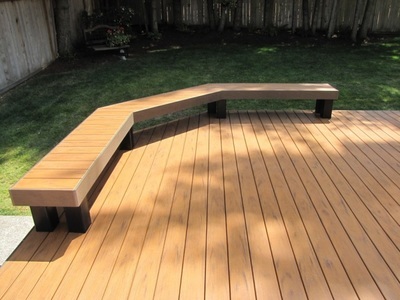 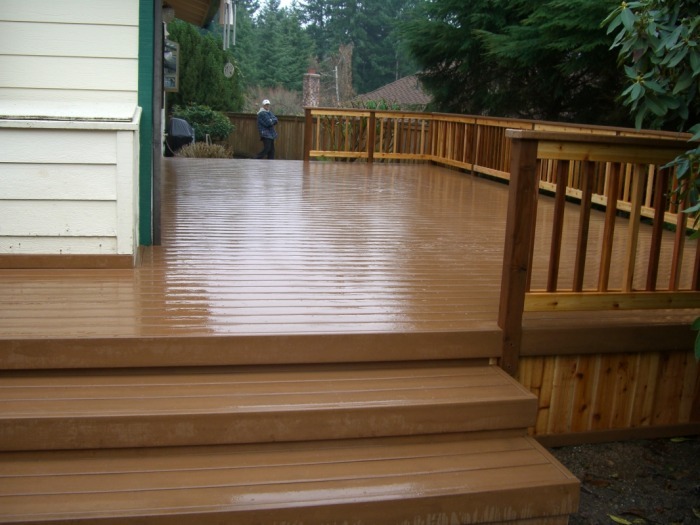 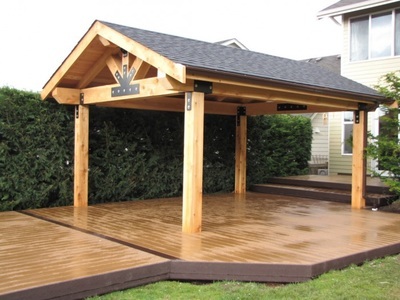 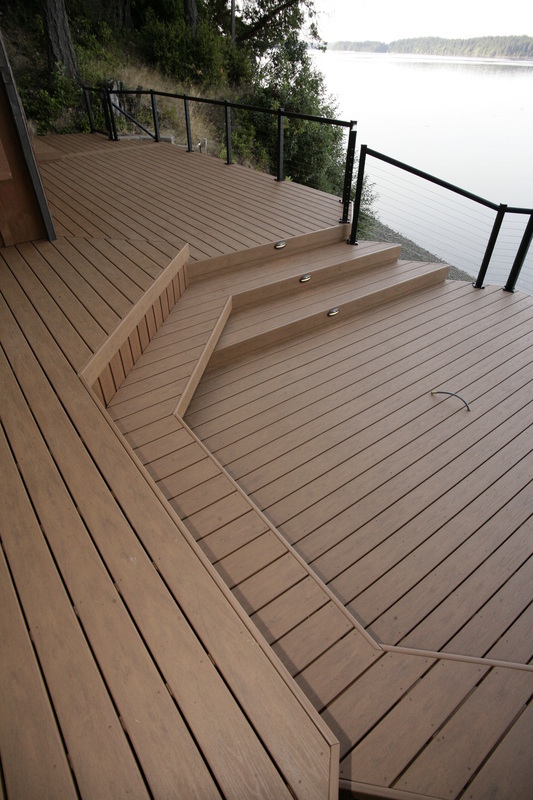 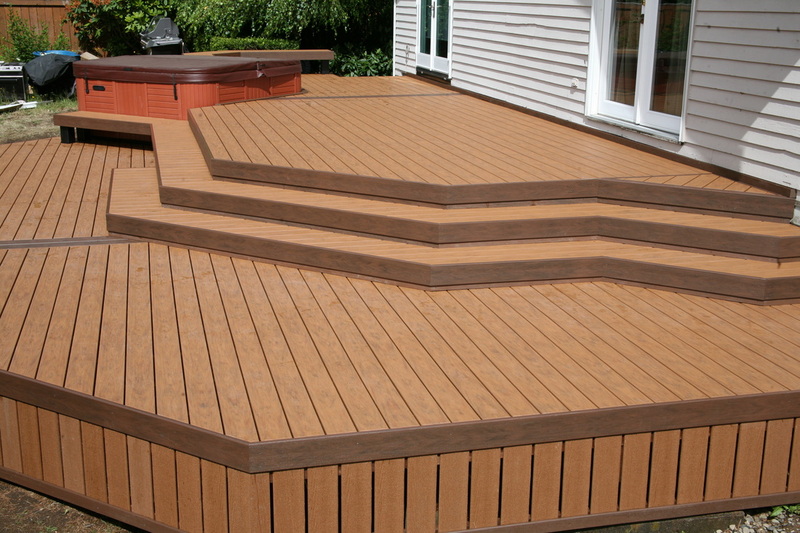 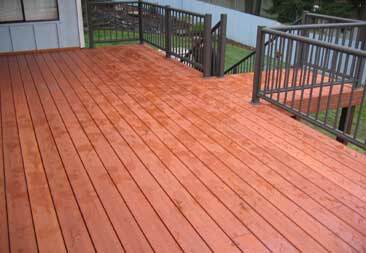 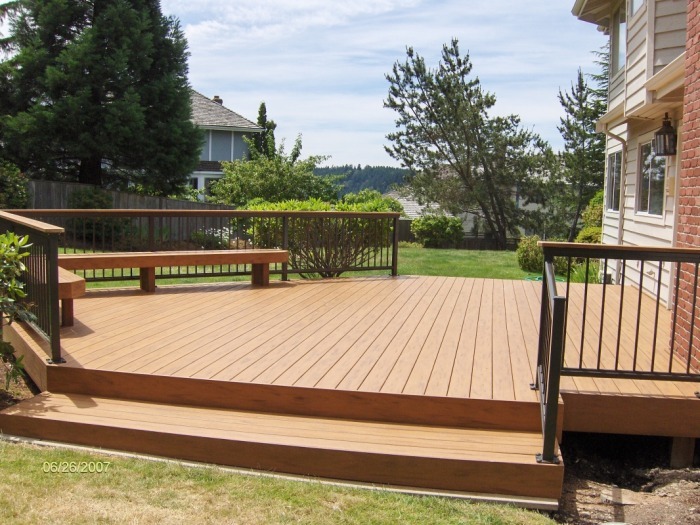 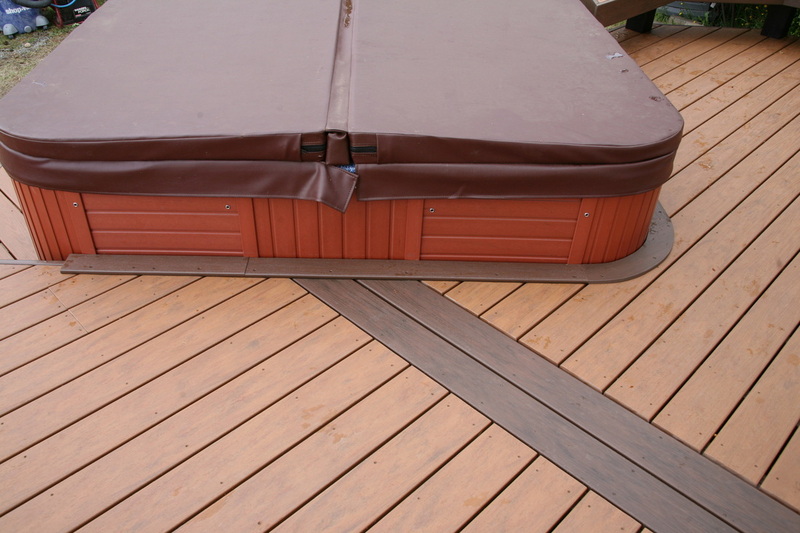 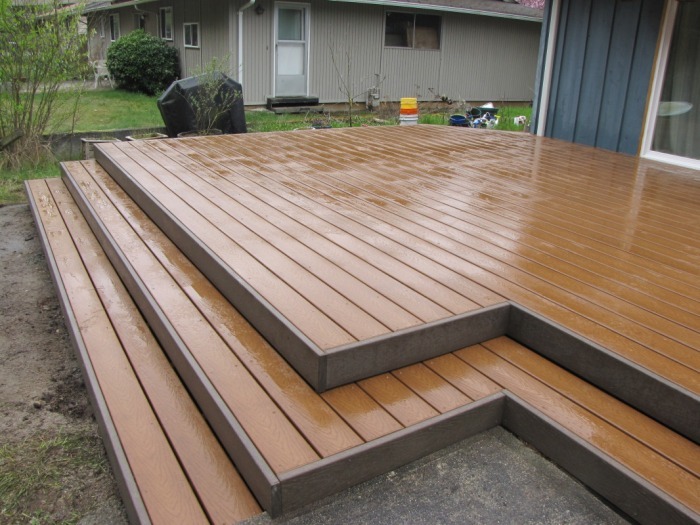 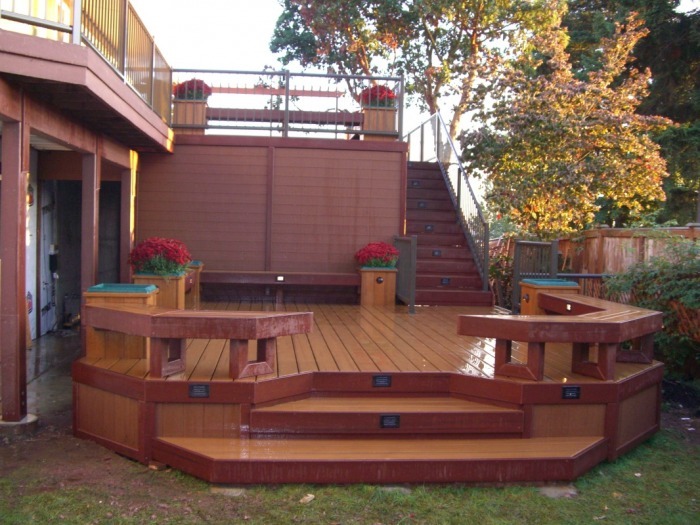 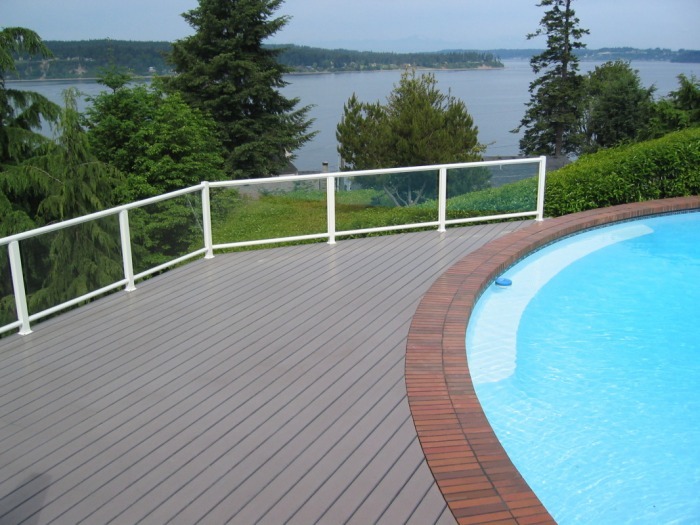 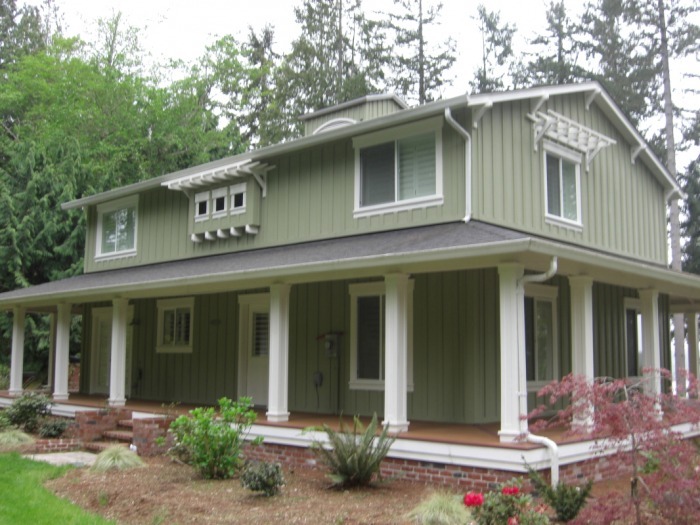 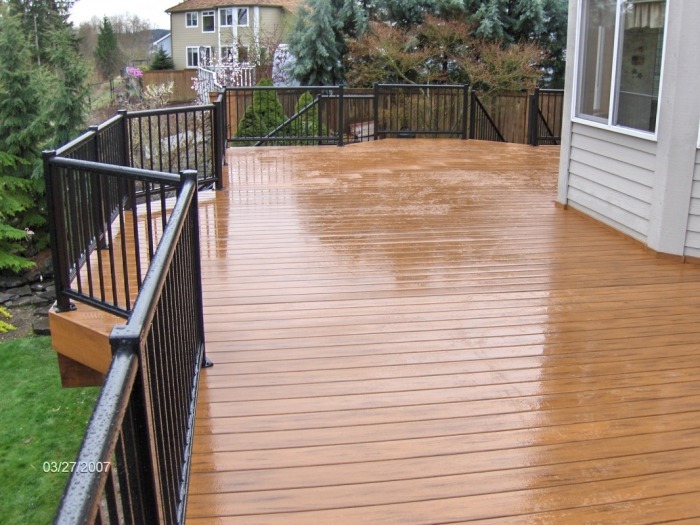 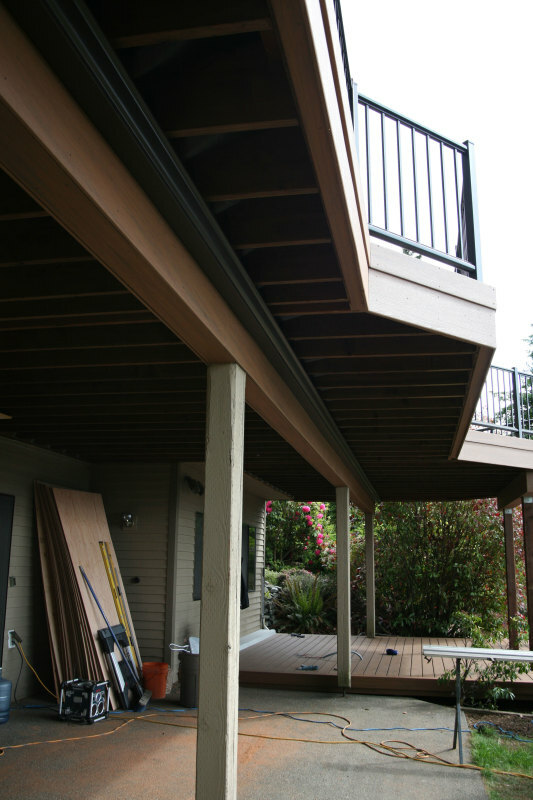 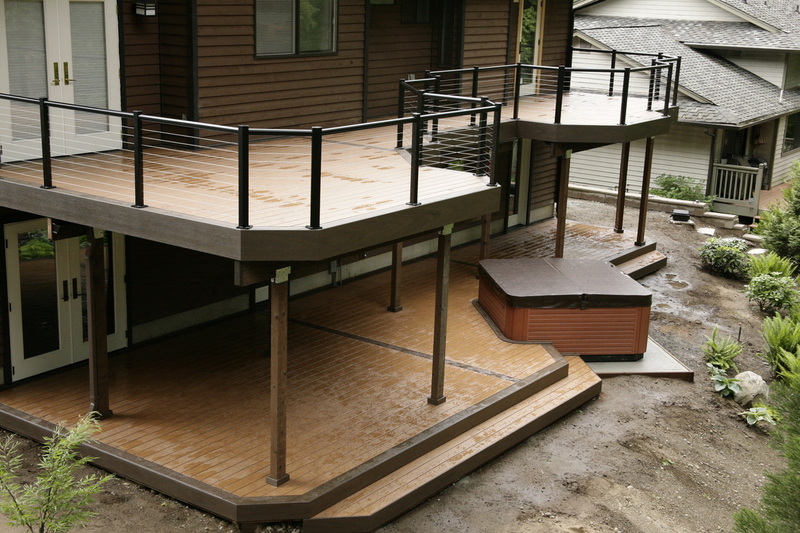 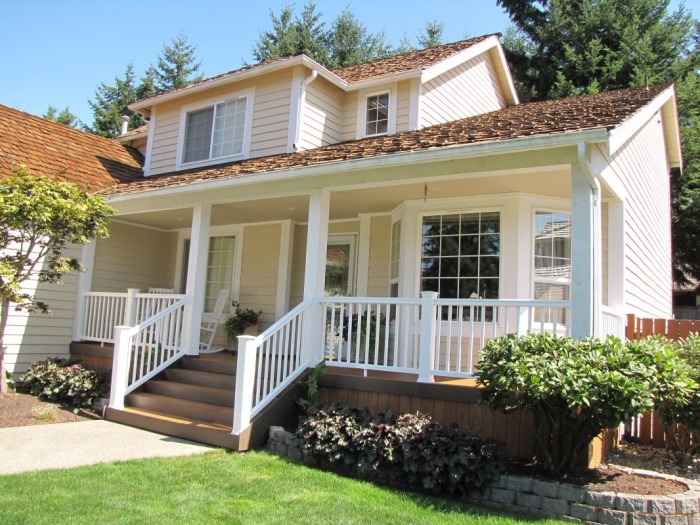 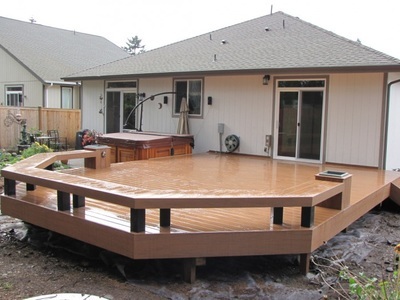 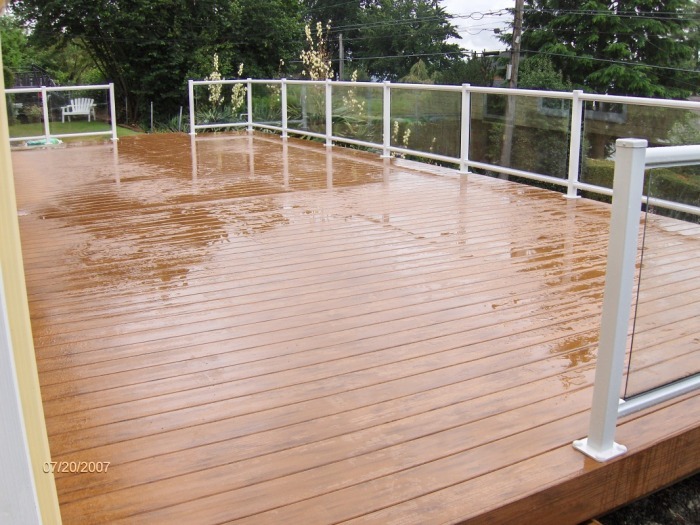 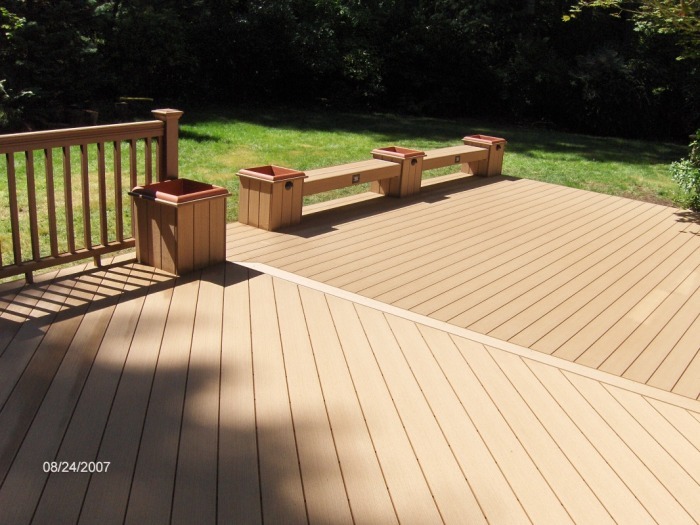 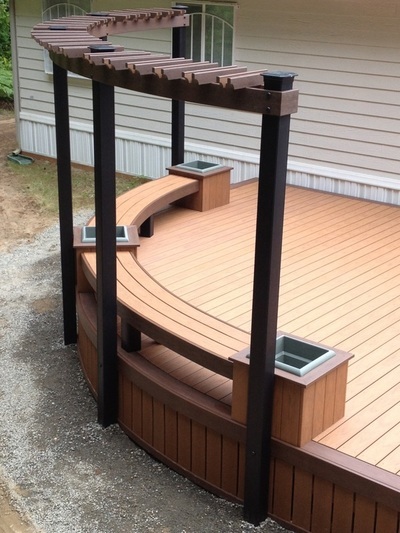 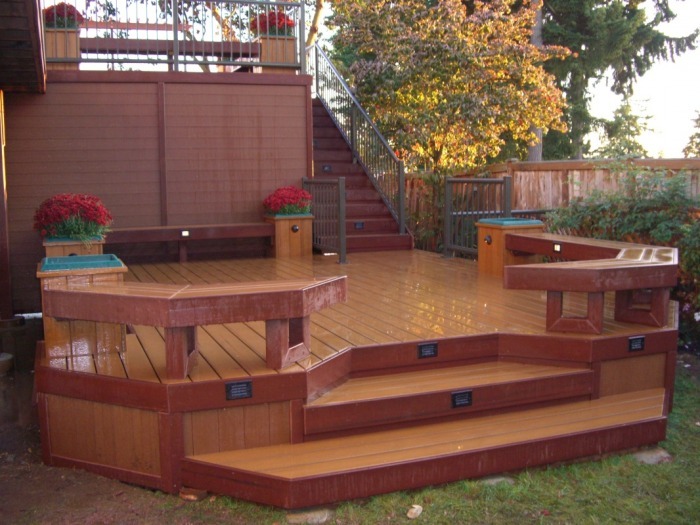 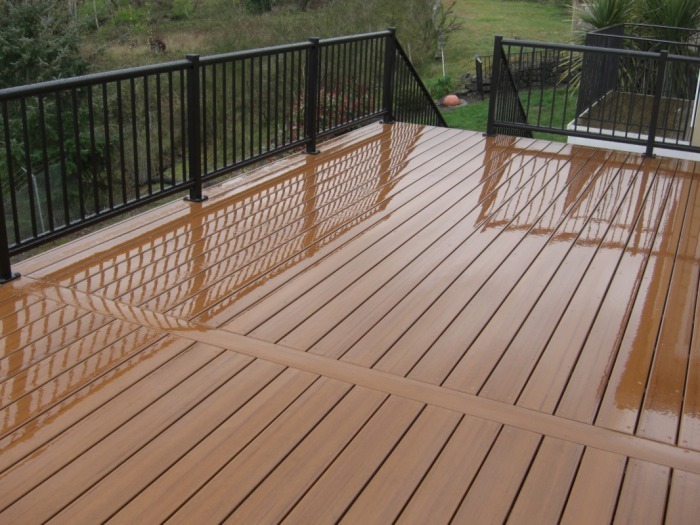 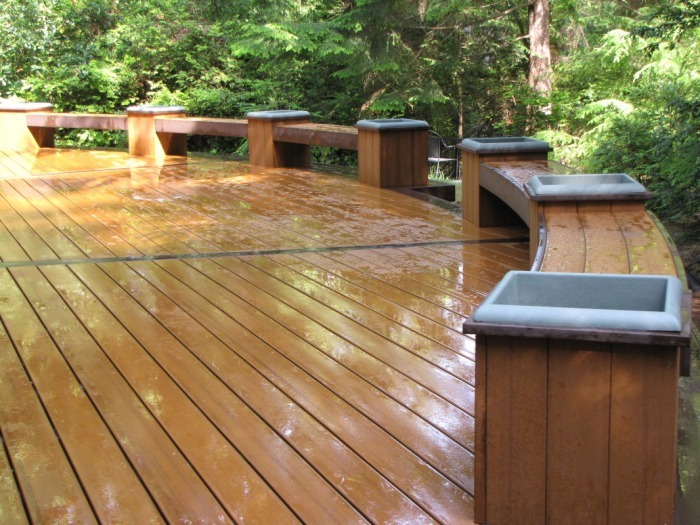 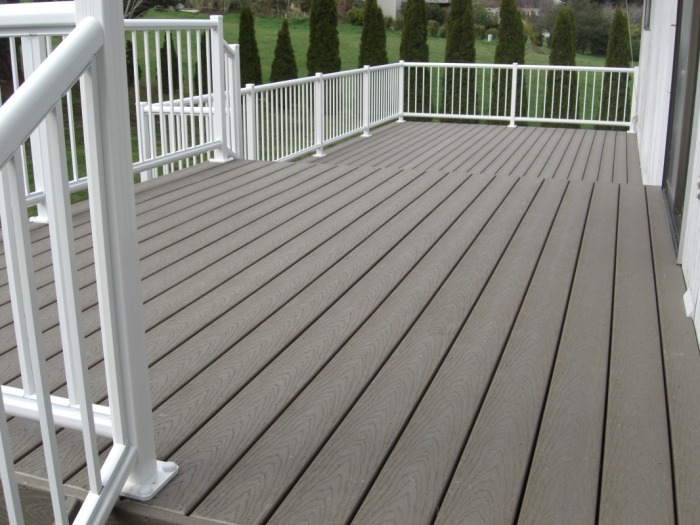 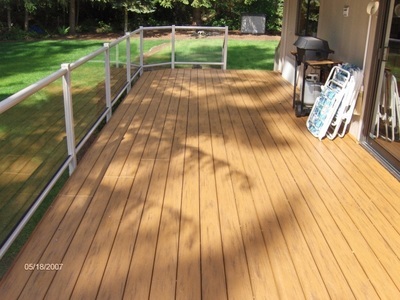 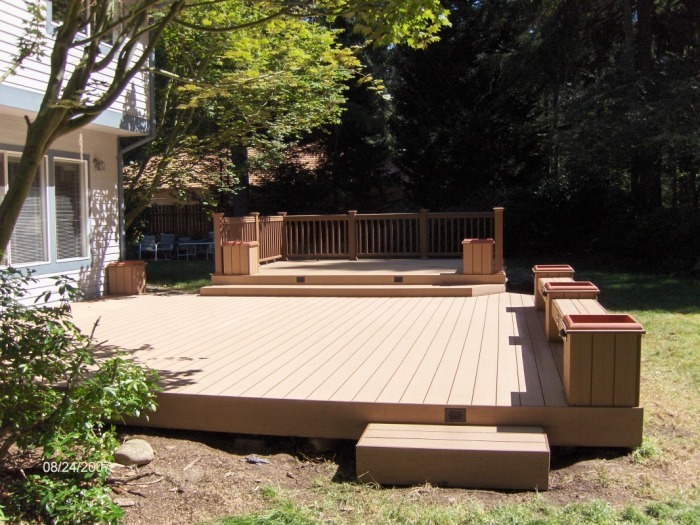 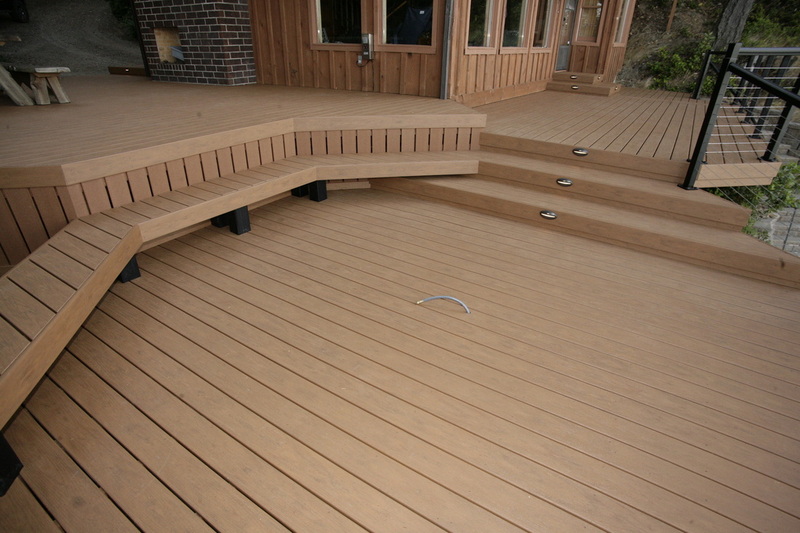 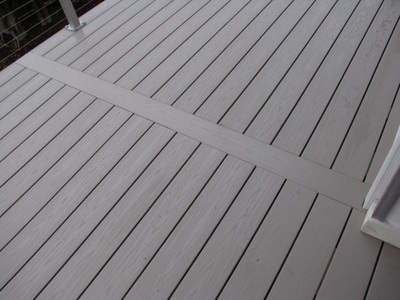 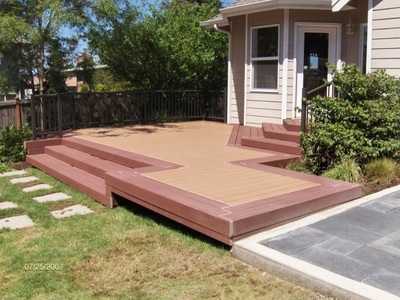 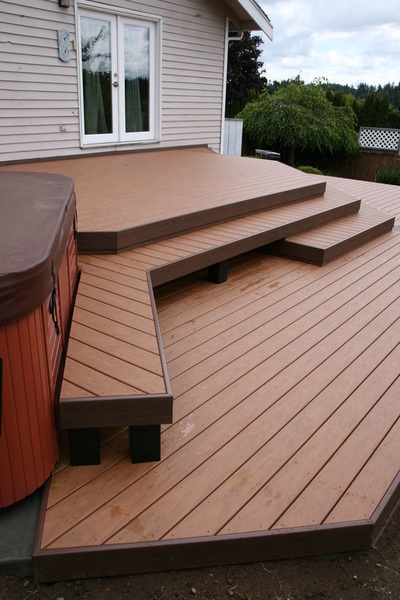 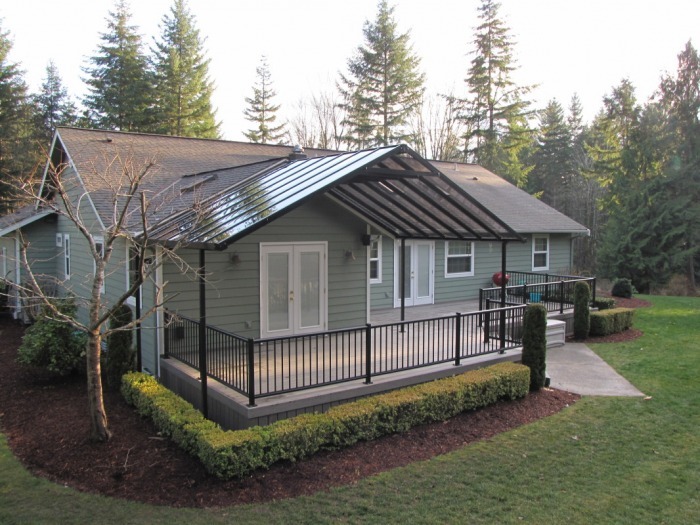 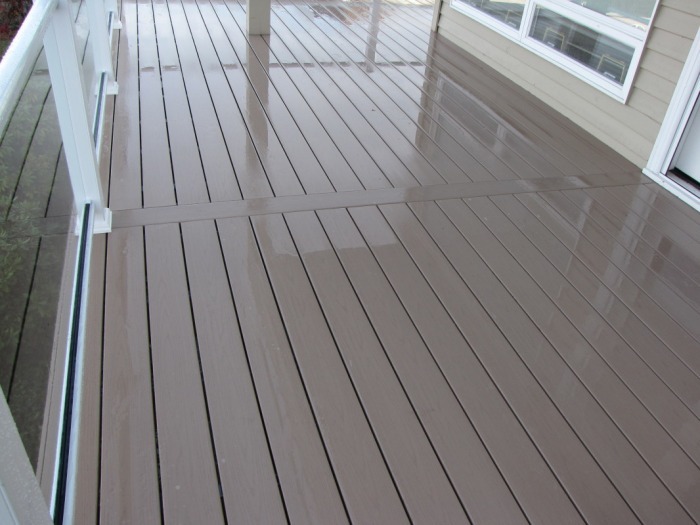 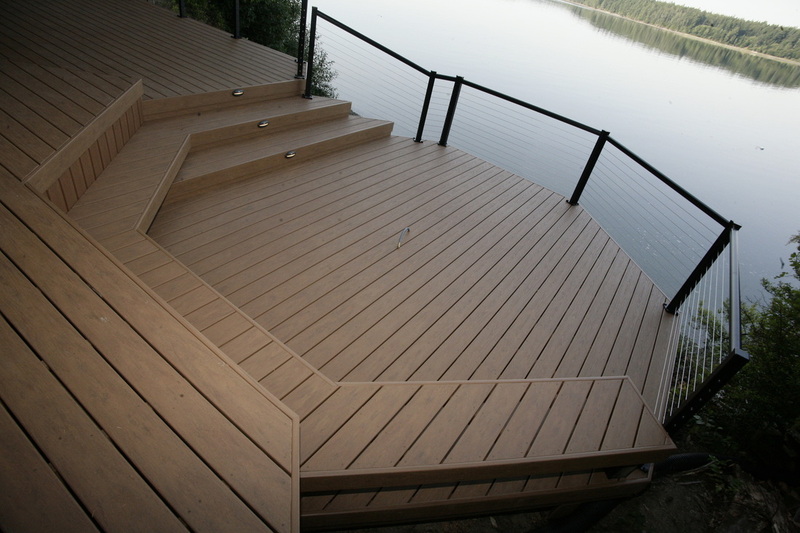 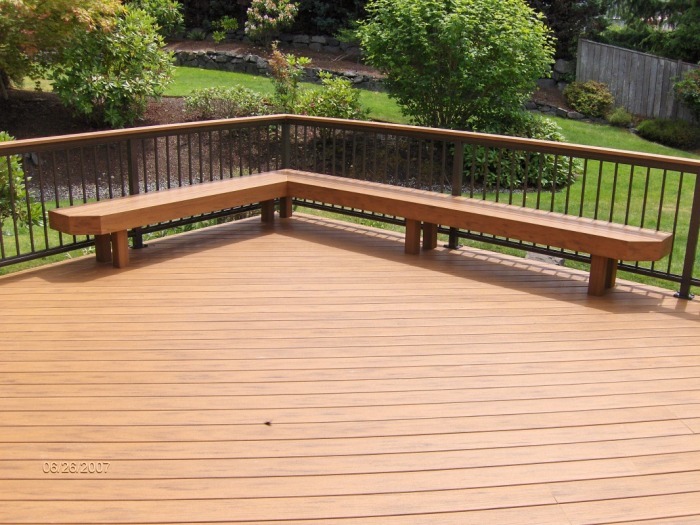 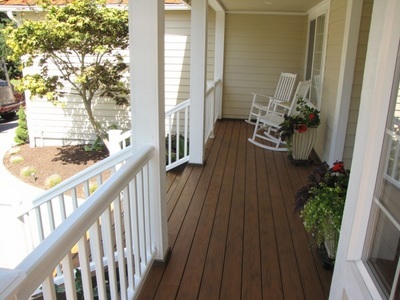 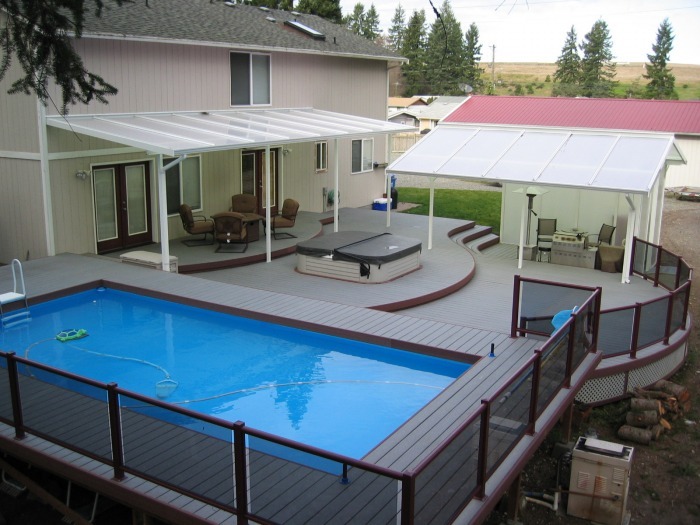 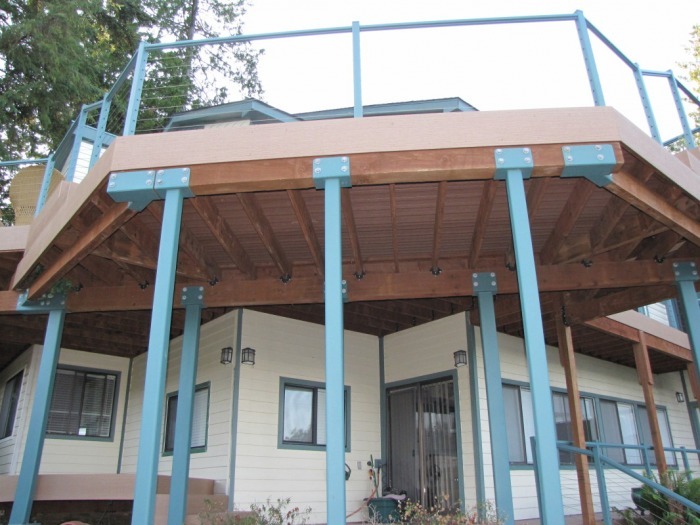 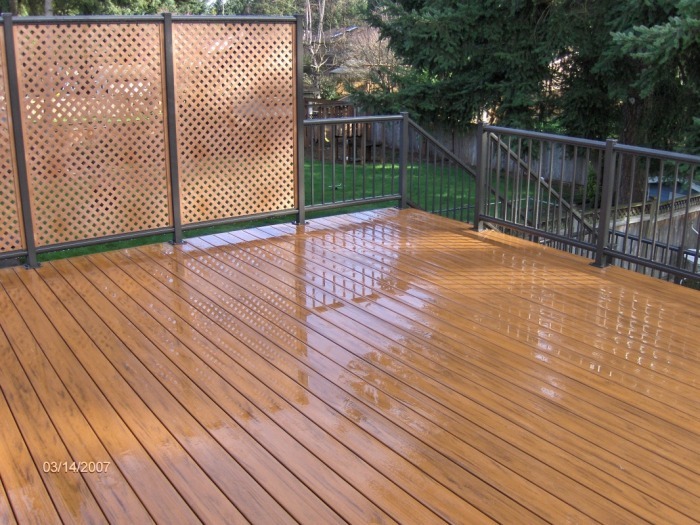 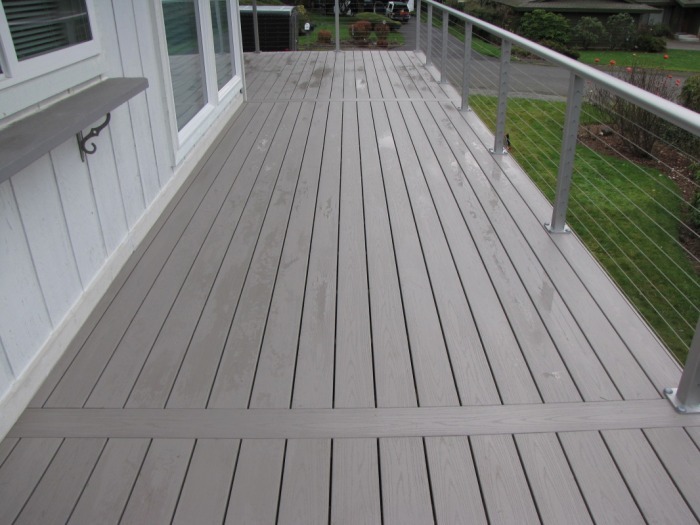 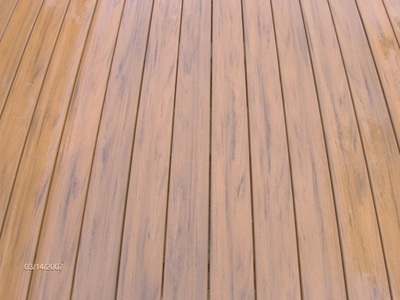 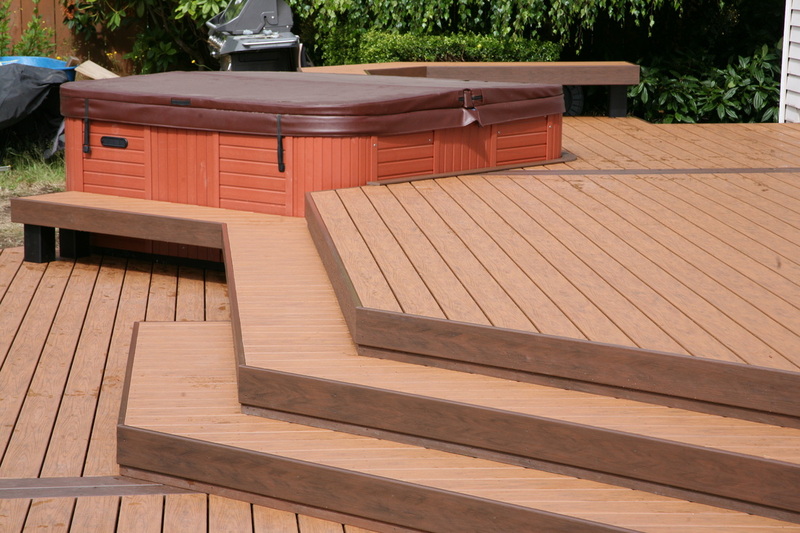 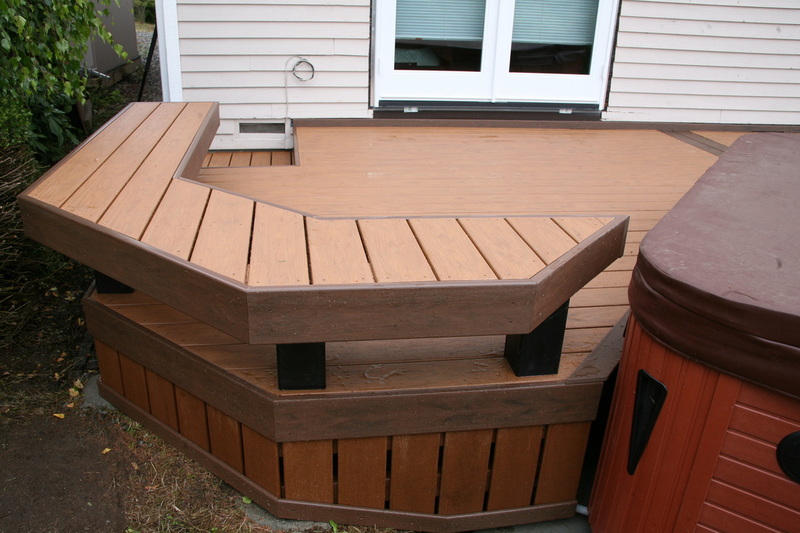 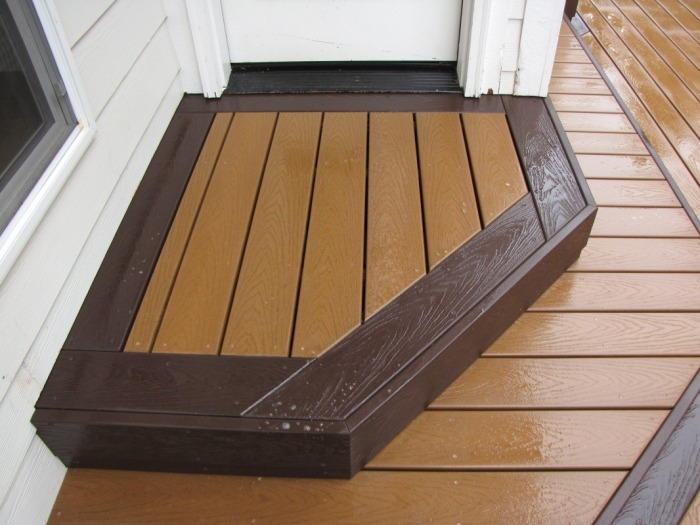 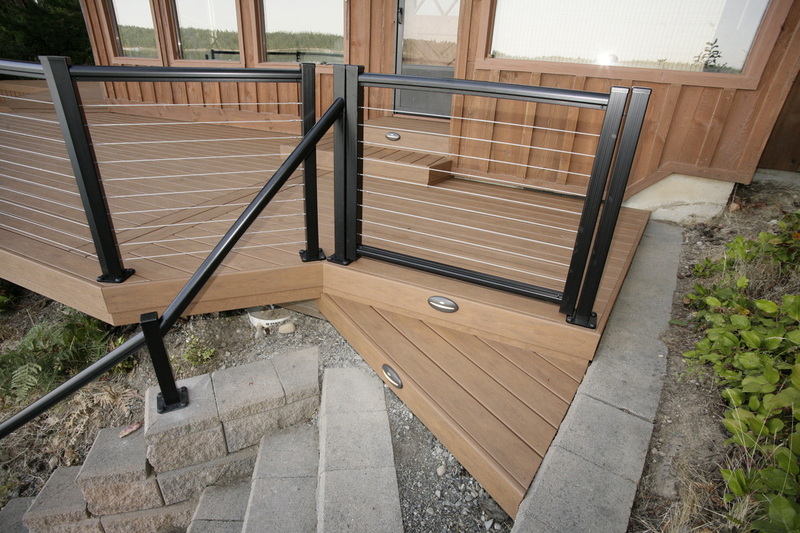 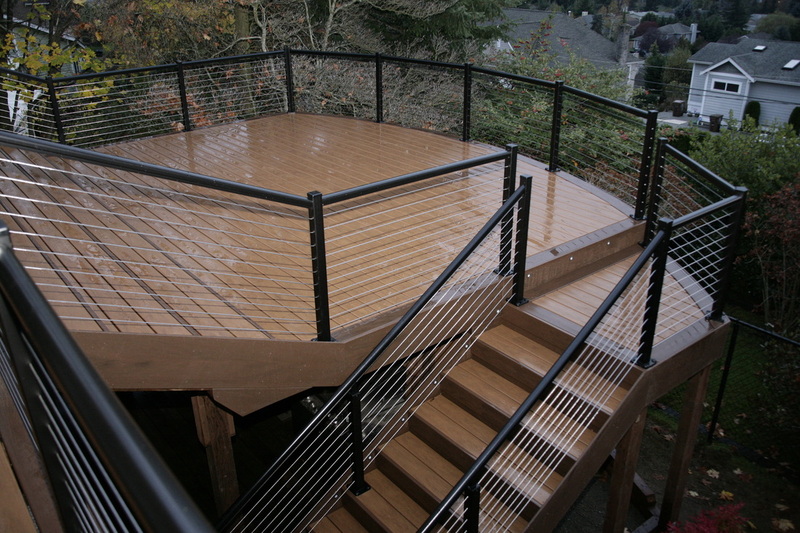 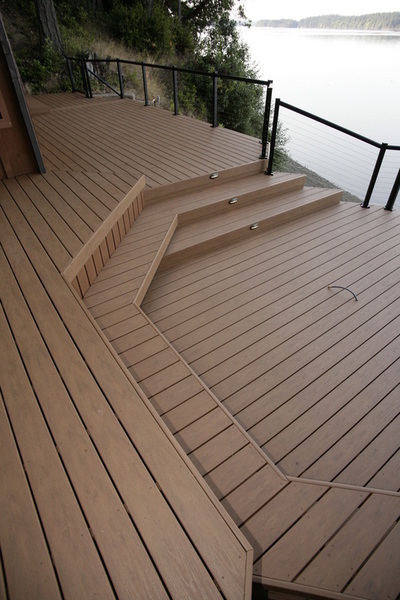 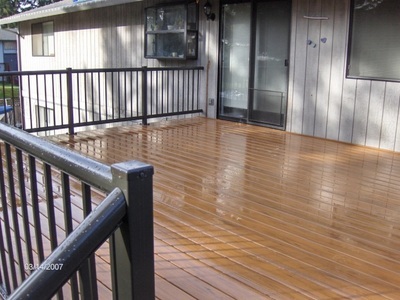 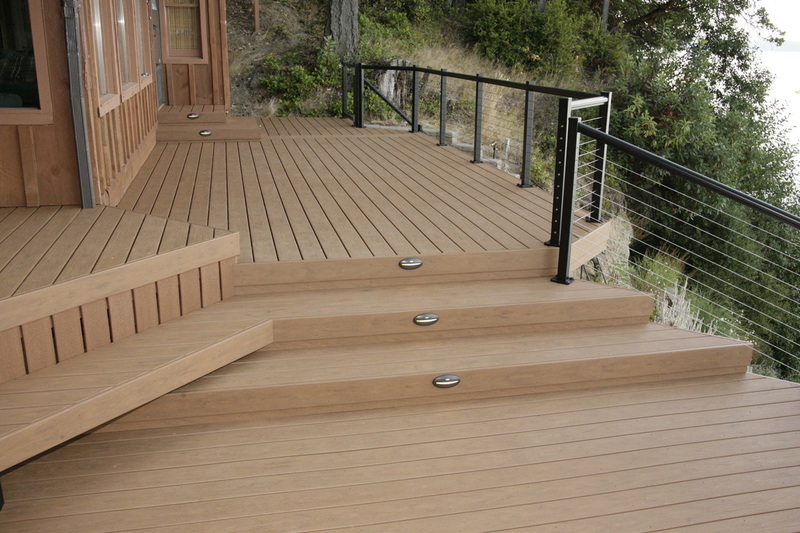 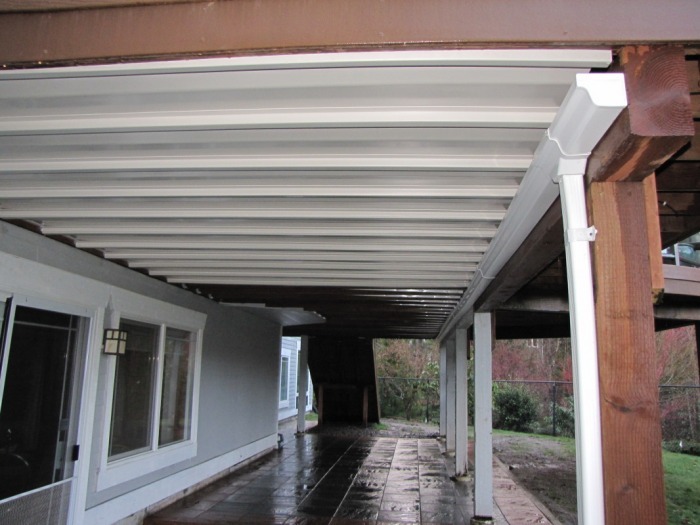 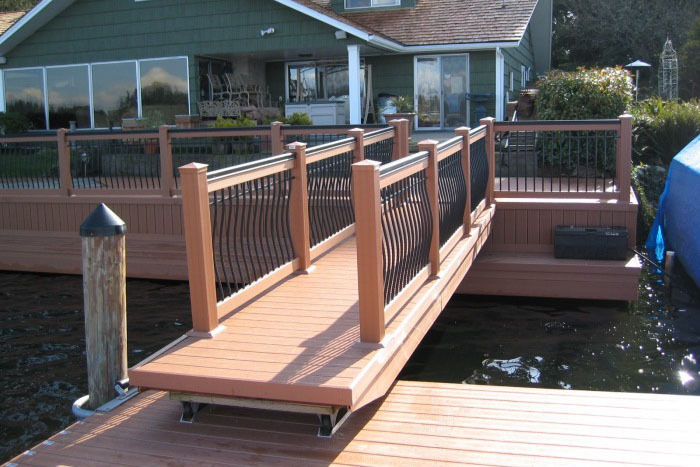 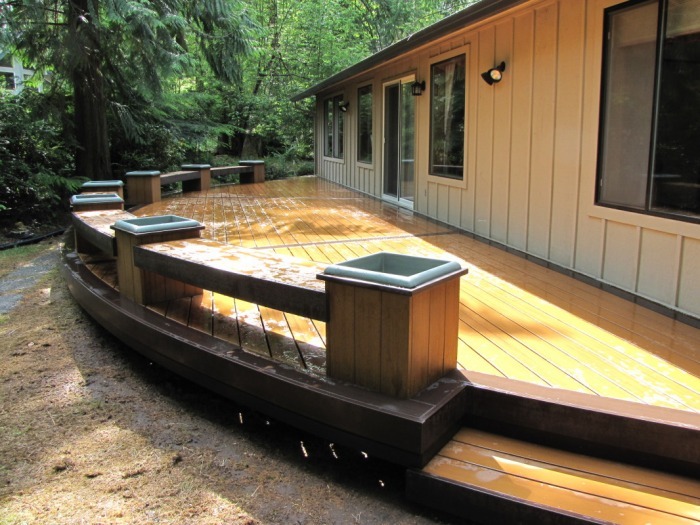 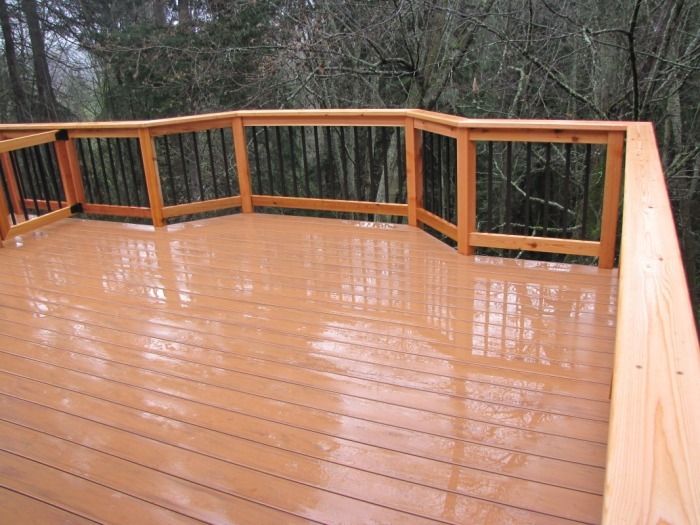 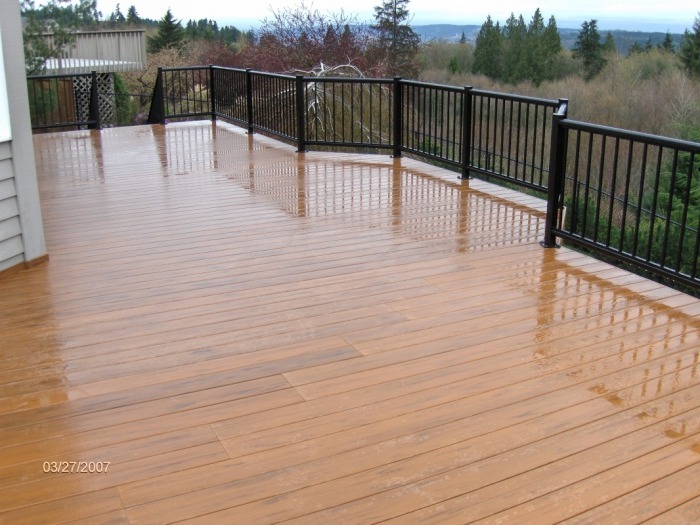 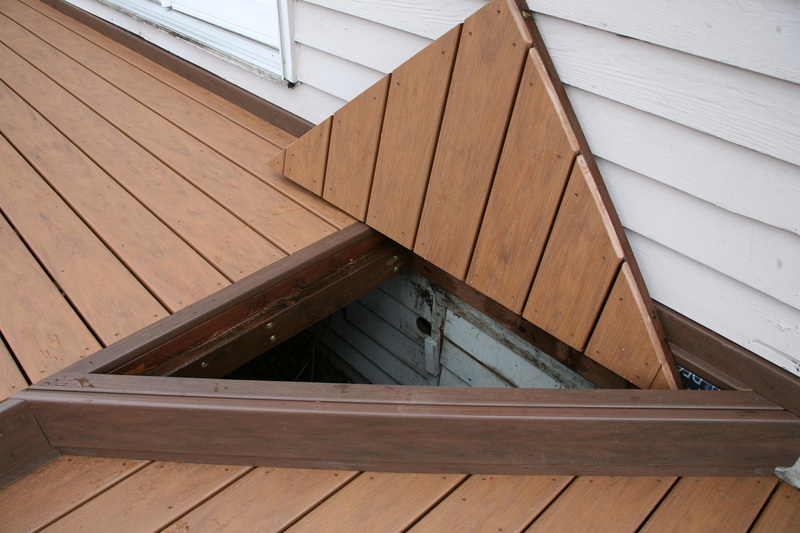 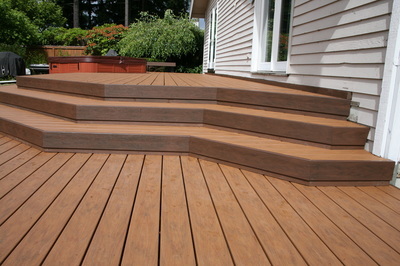 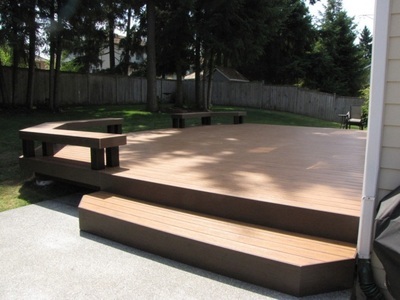 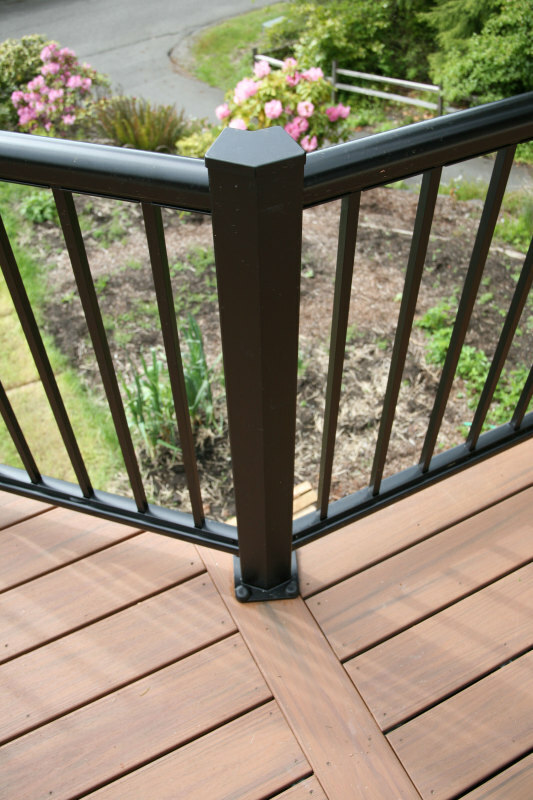 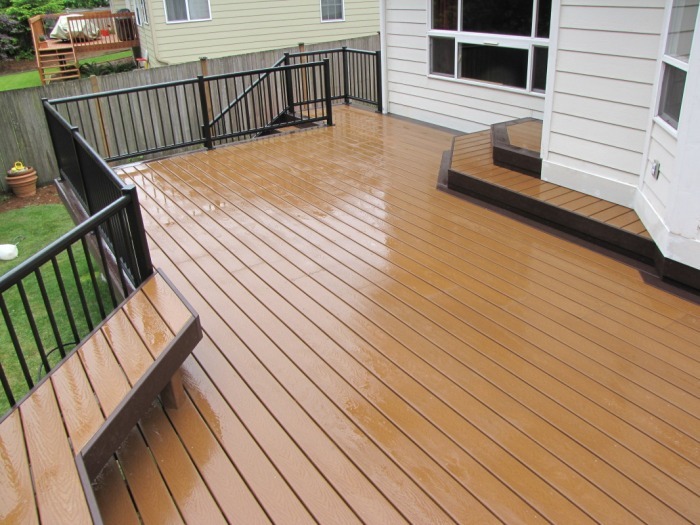 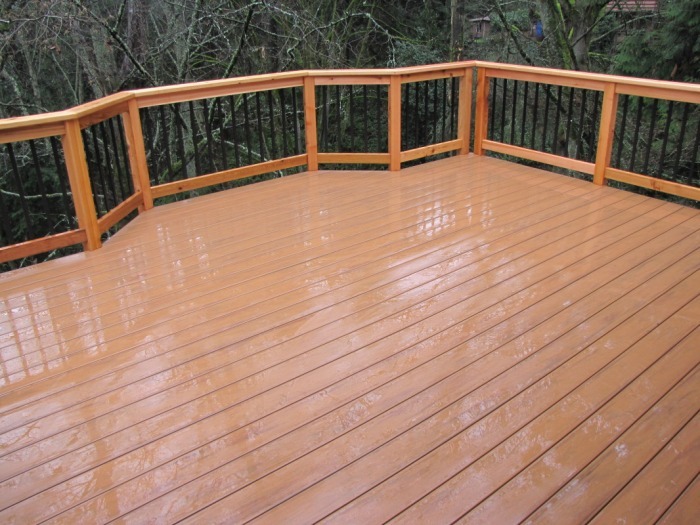 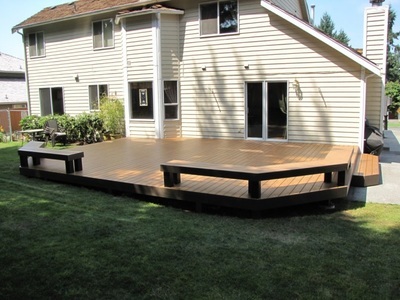 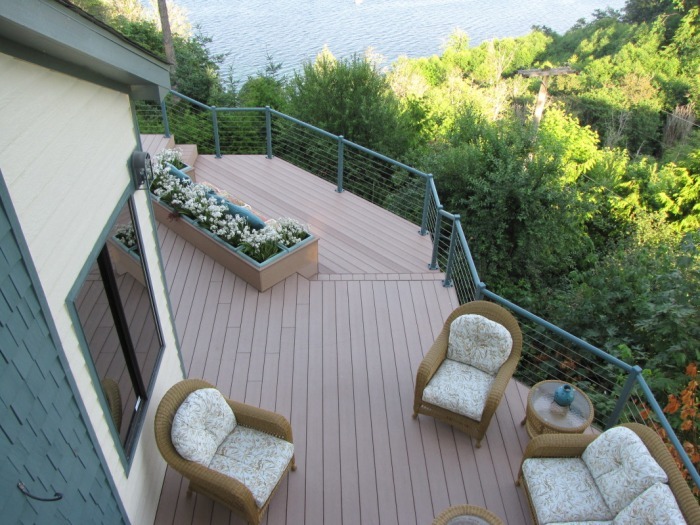 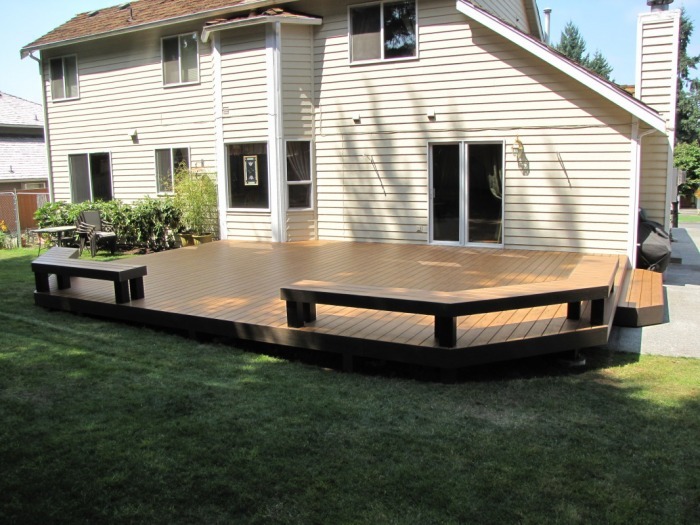 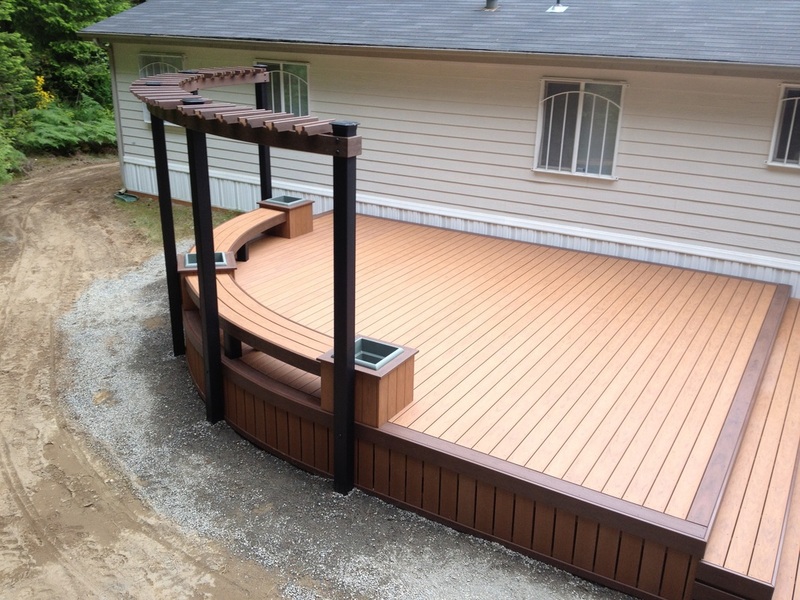 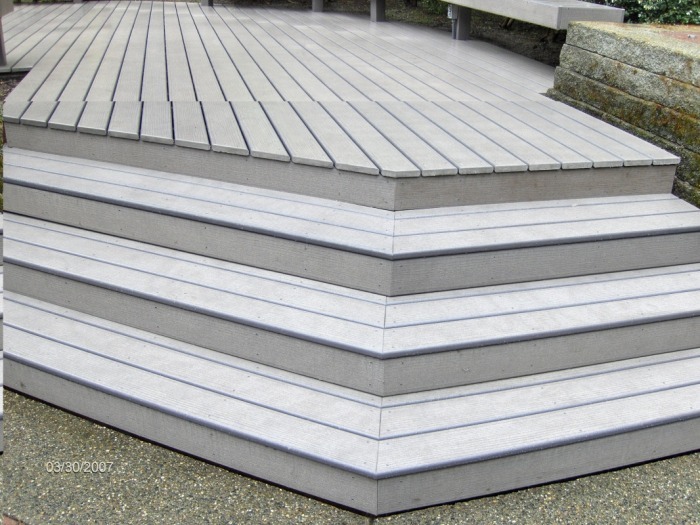 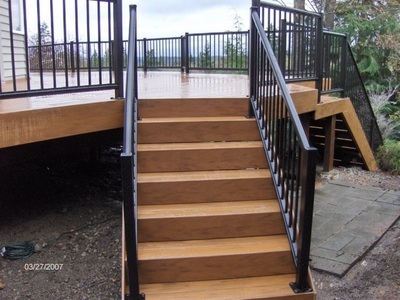 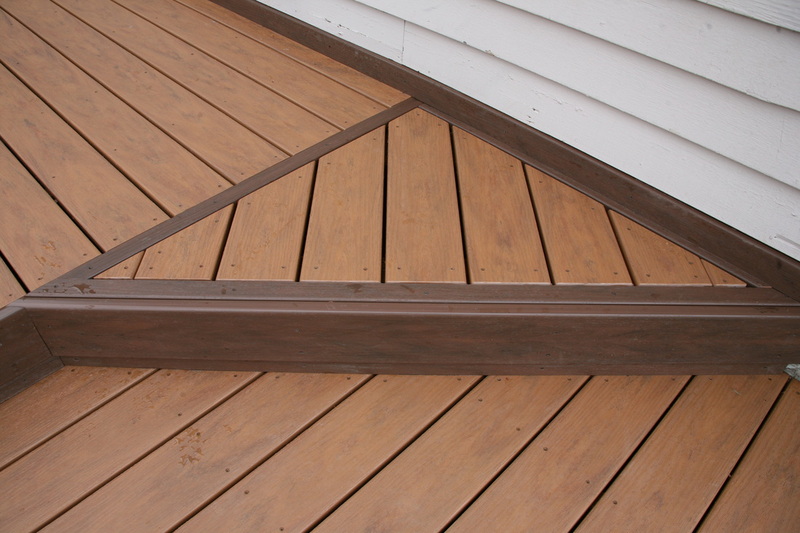 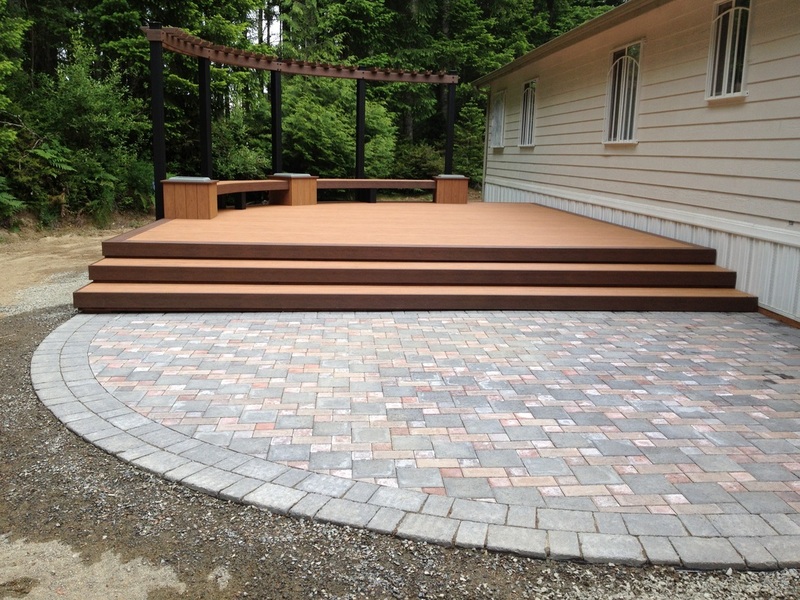 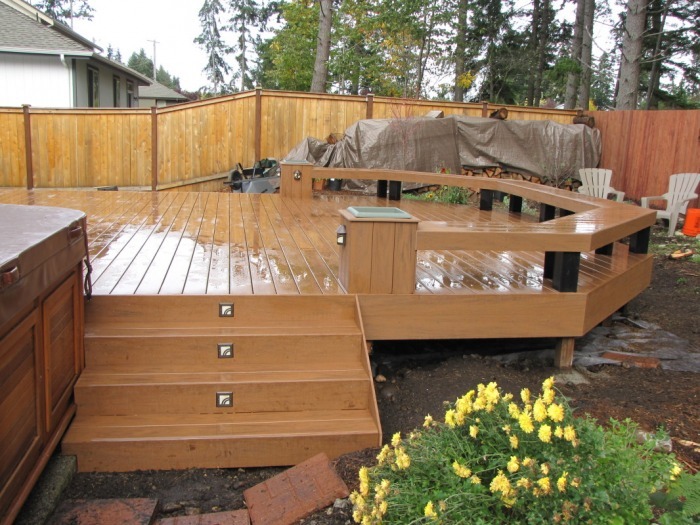 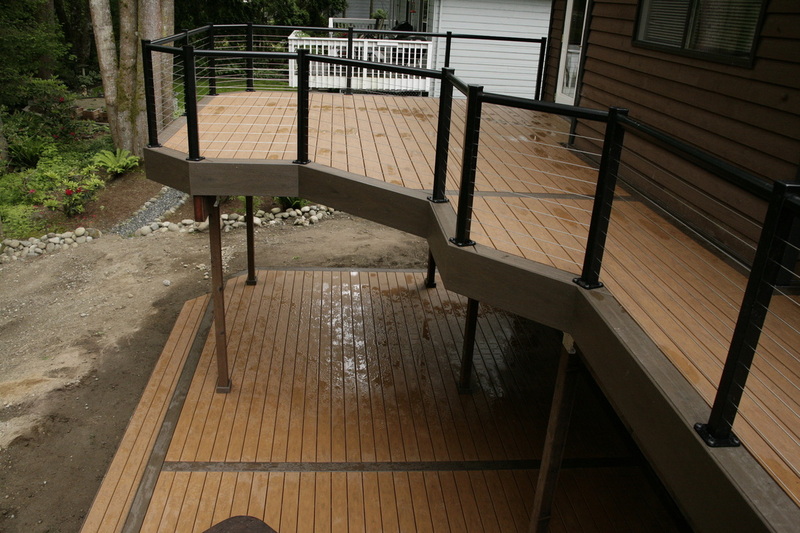 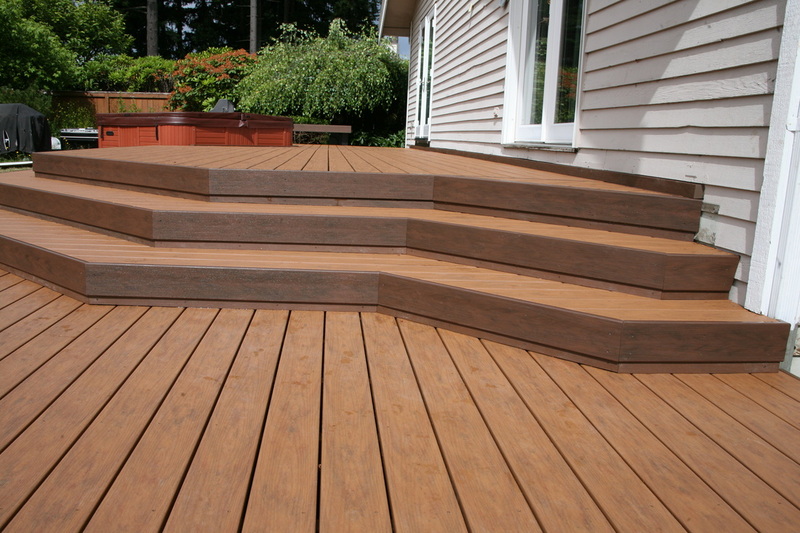 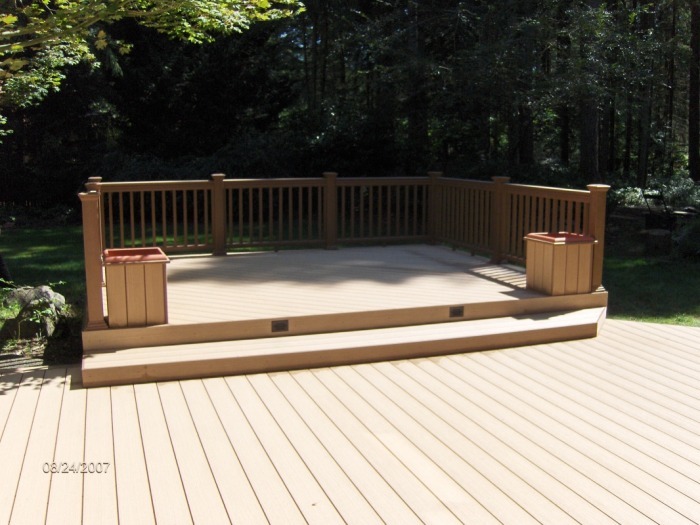 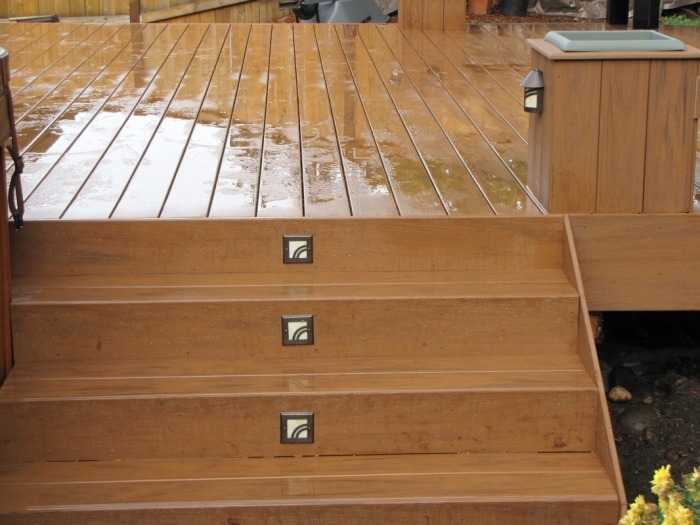 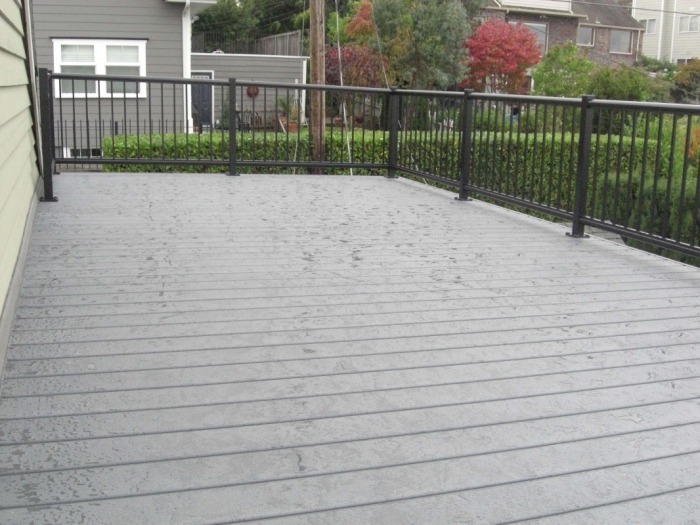 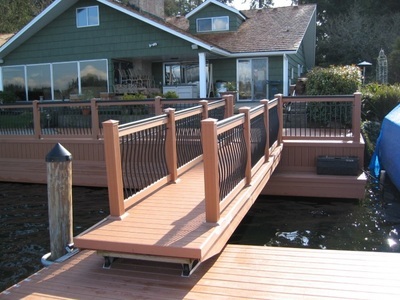 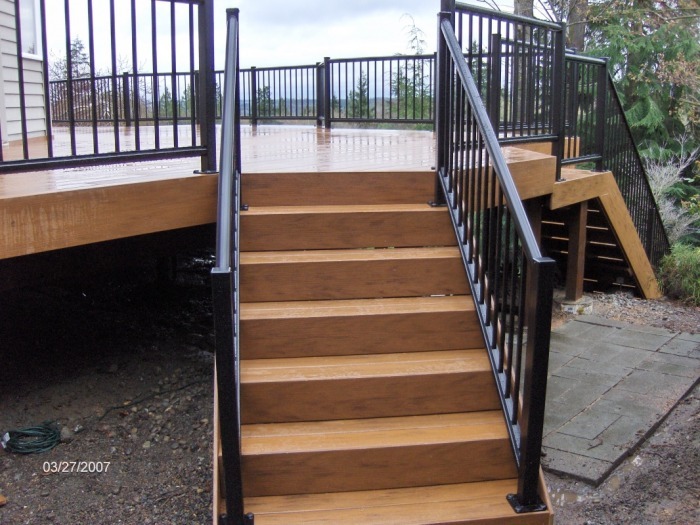 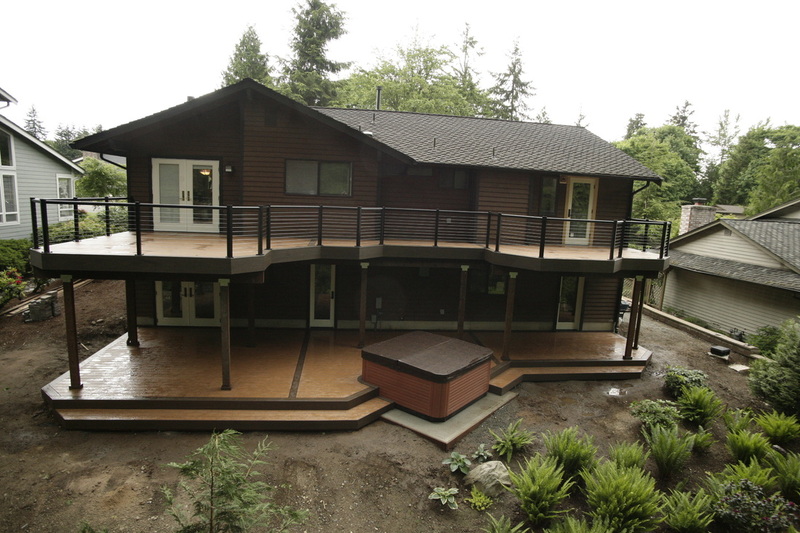 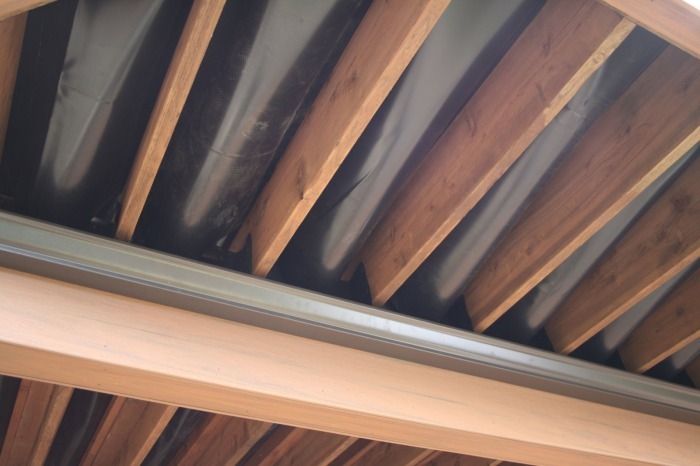 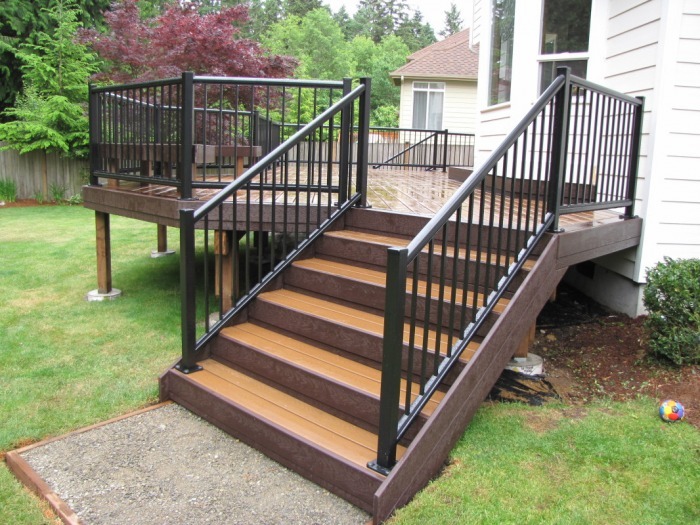 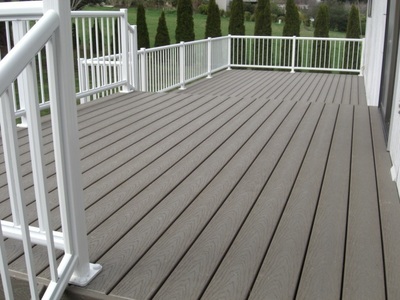 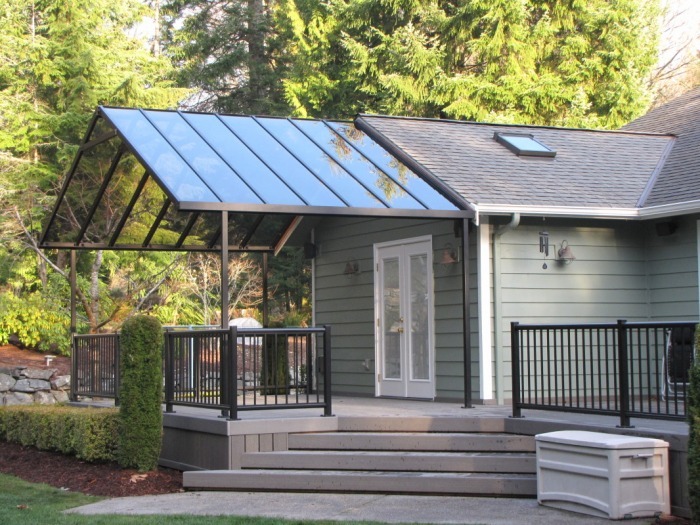 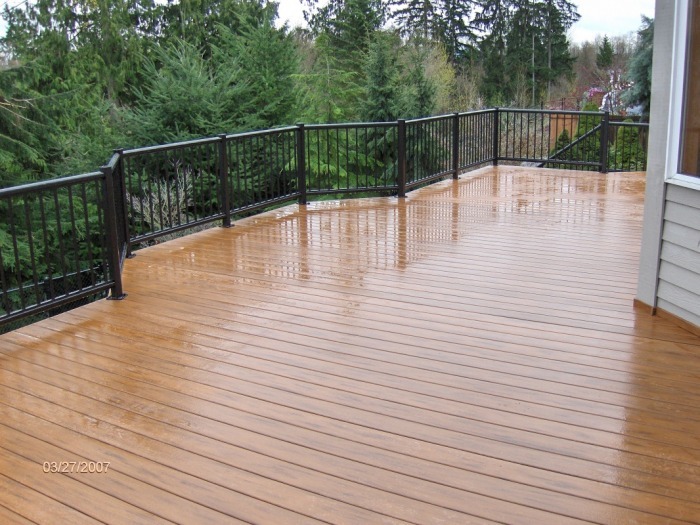 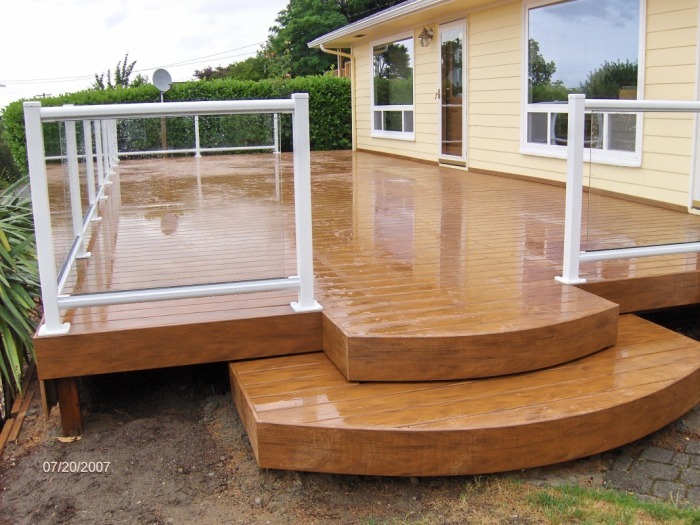 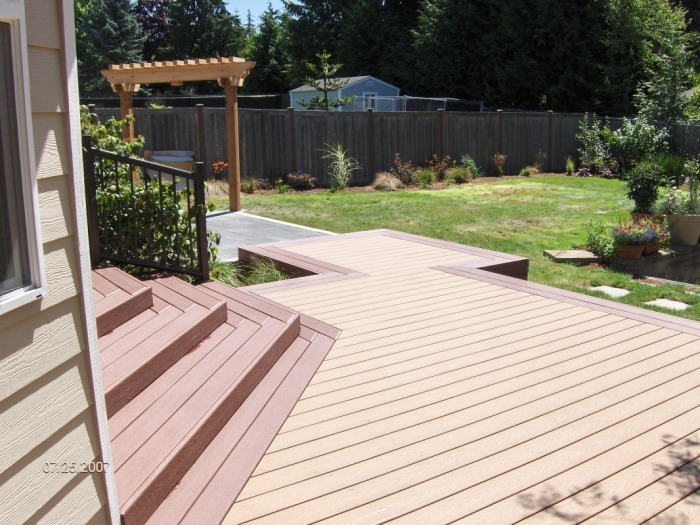 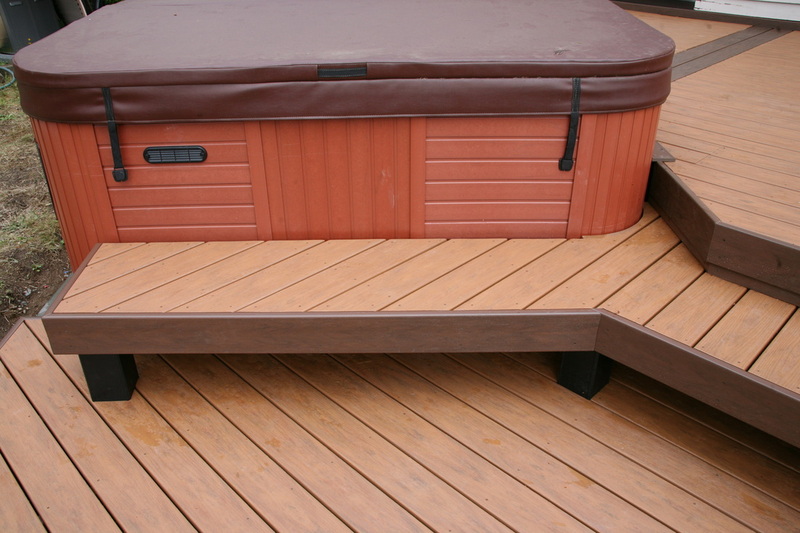 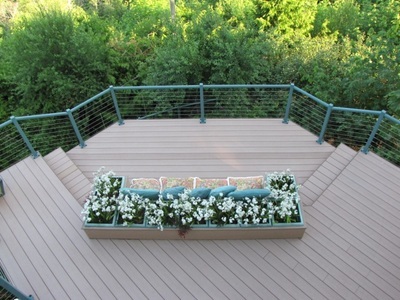 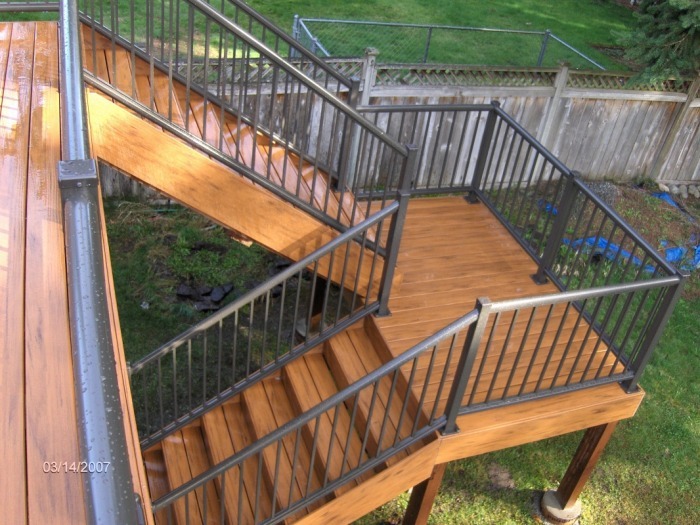 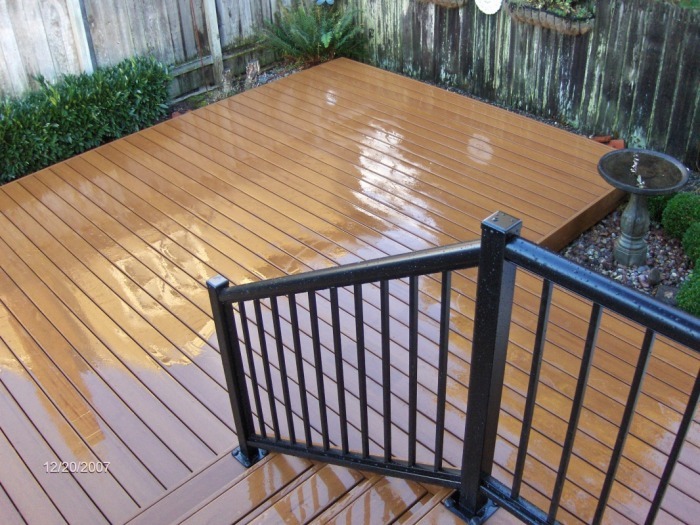 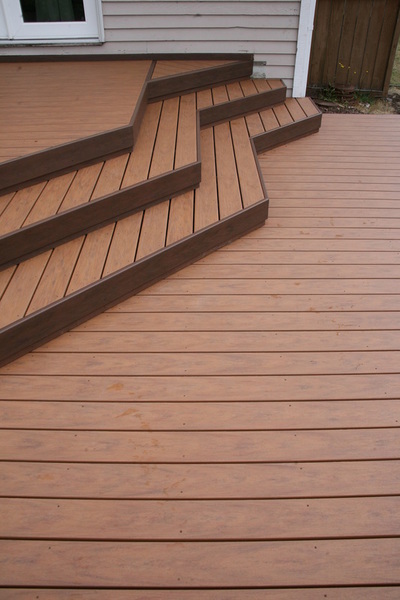 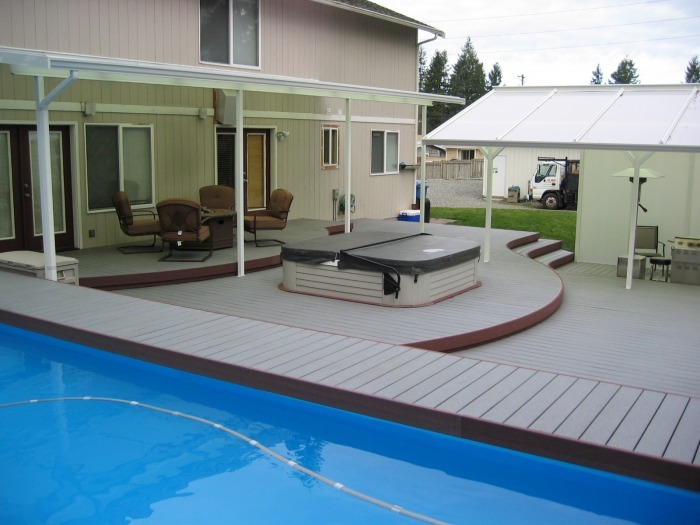 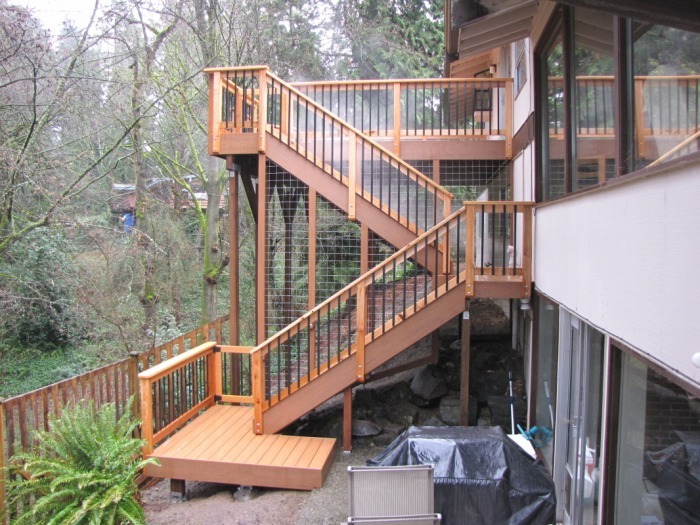 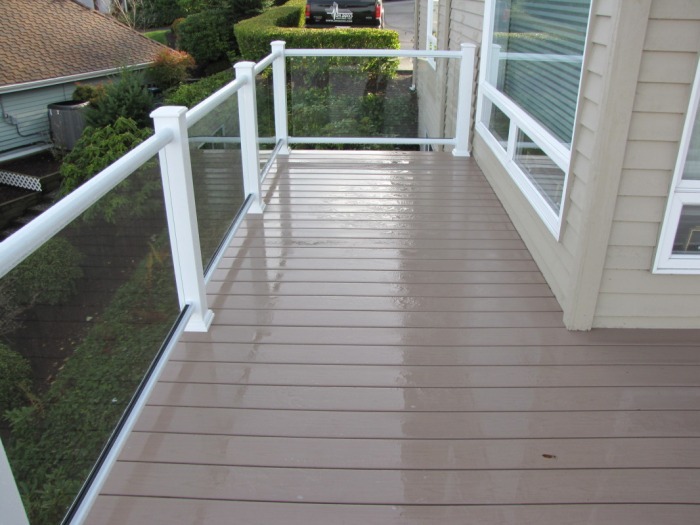 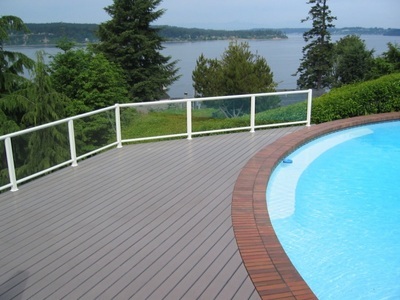 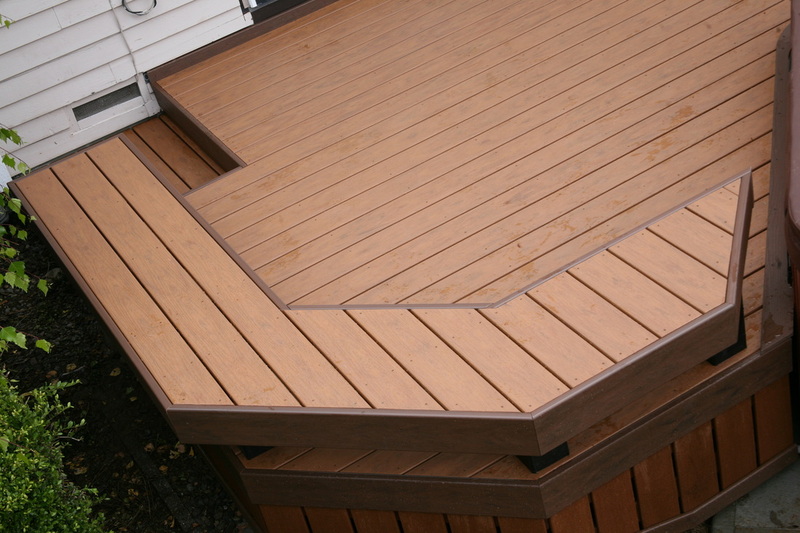 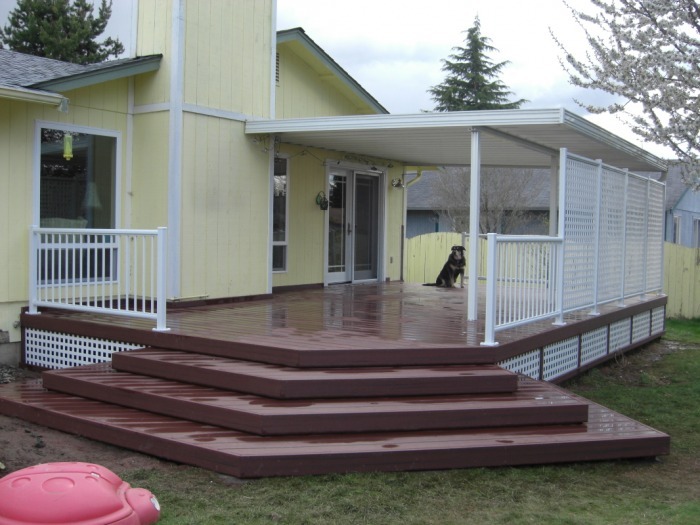 PVC and Composite decks have the natural beauty of wood, but leave behind all the rotting and splintering of conventional lumber. 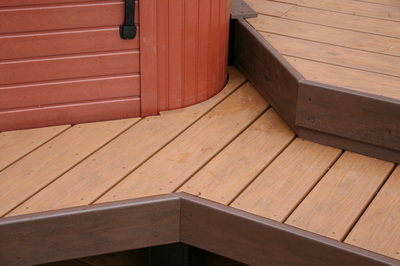 You won't miss the splinters and neither will your feet. 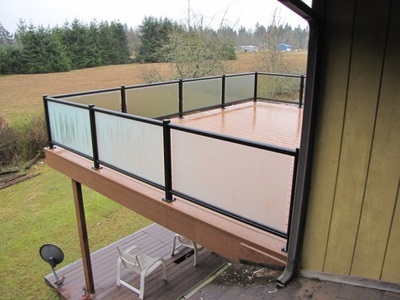 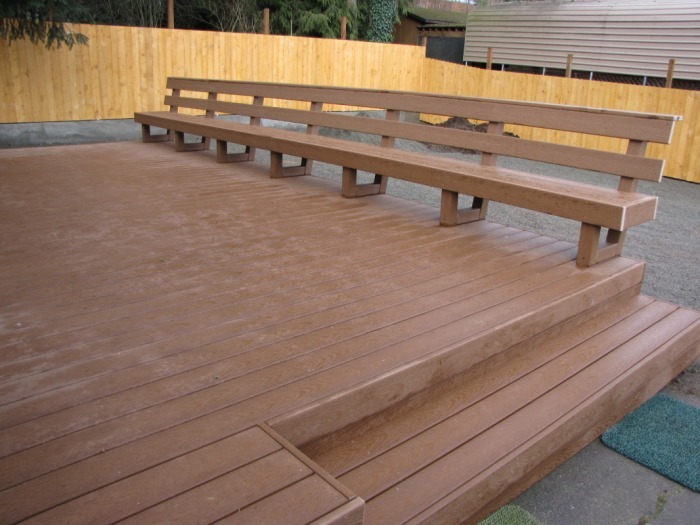 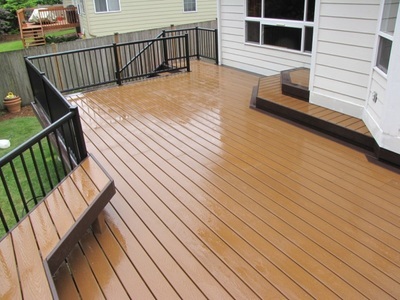 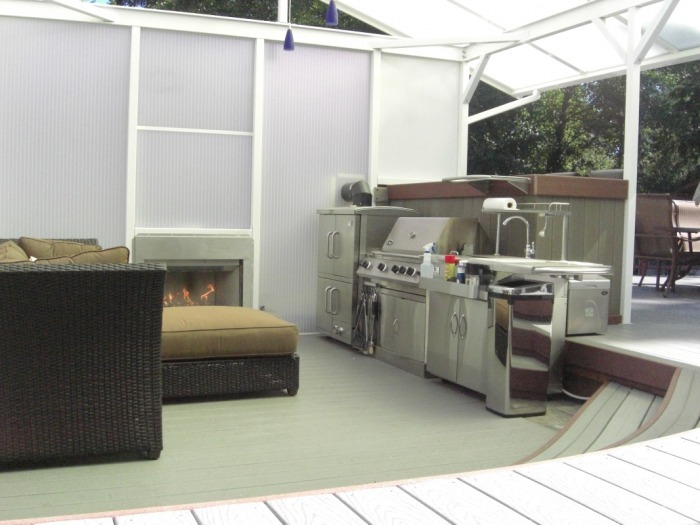 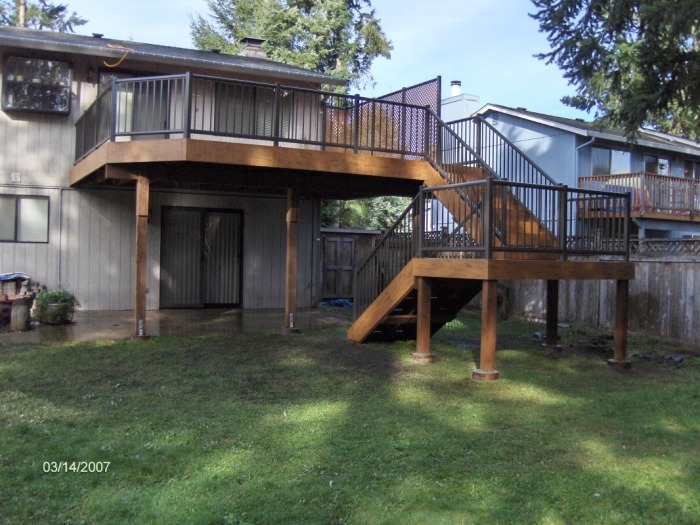 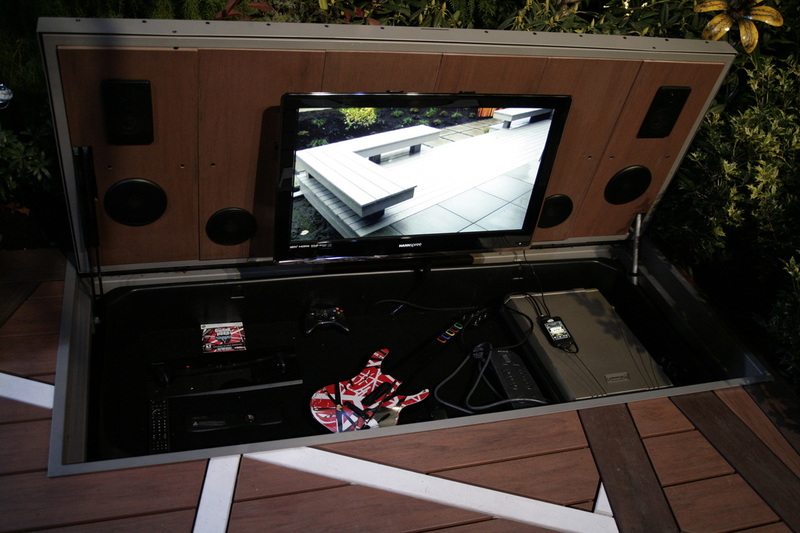 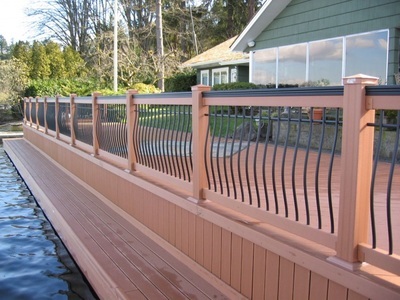 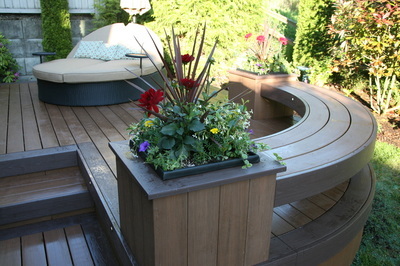 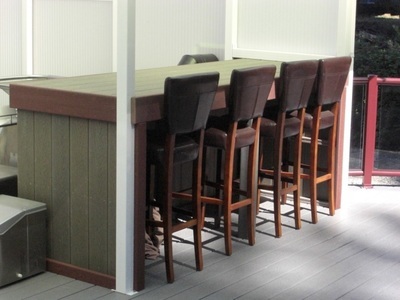 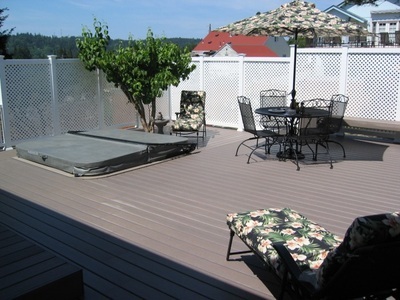 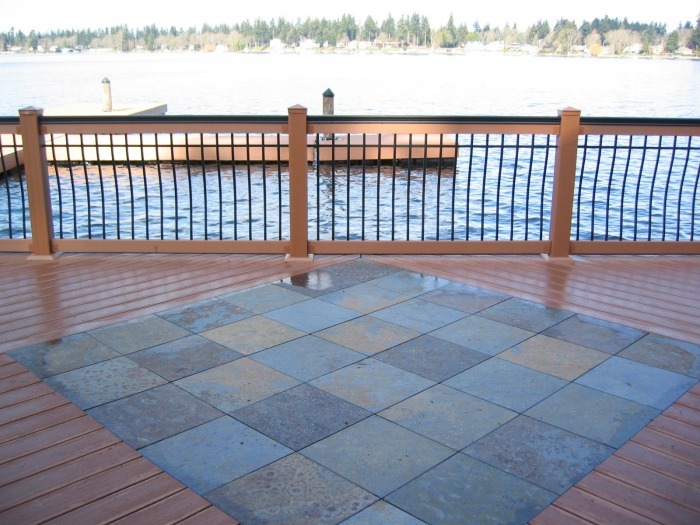 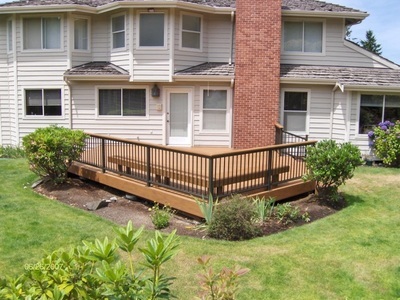 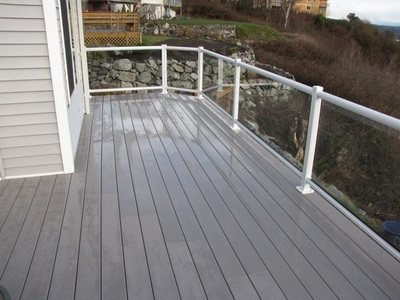 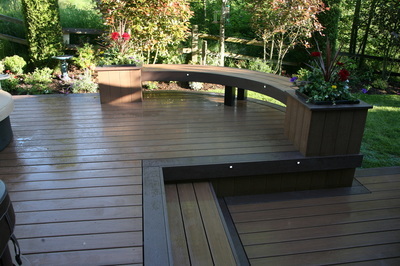 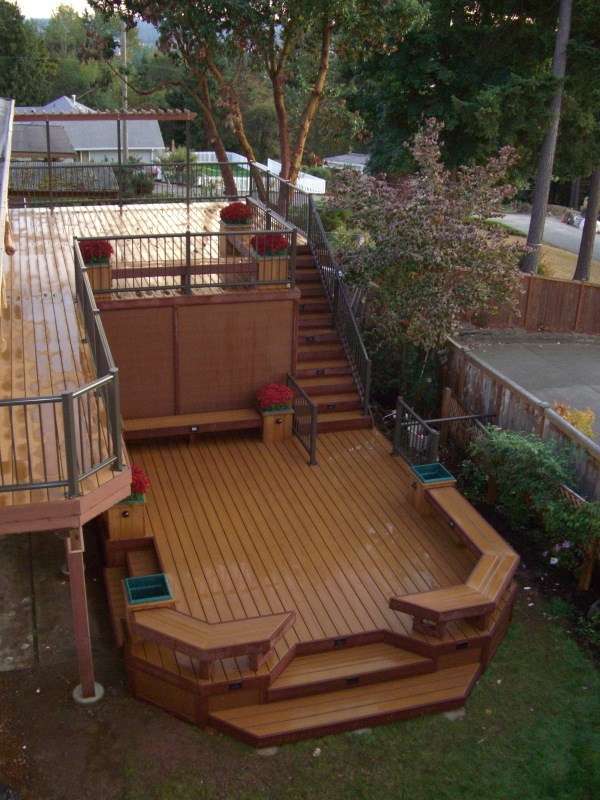 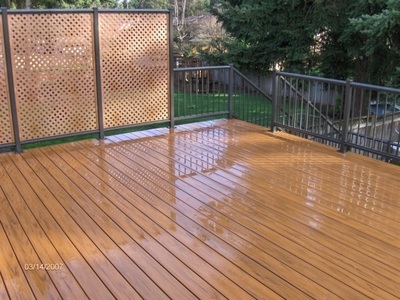 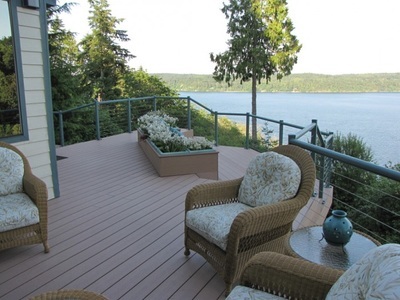 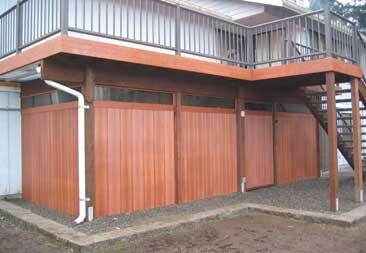 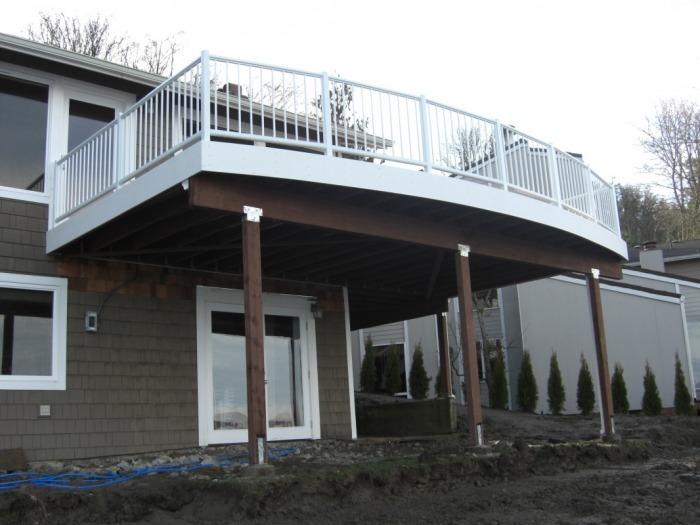 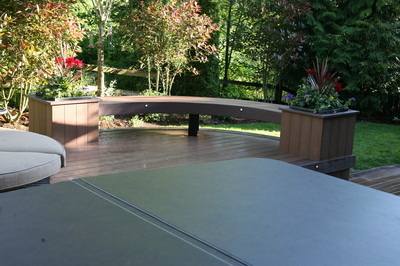 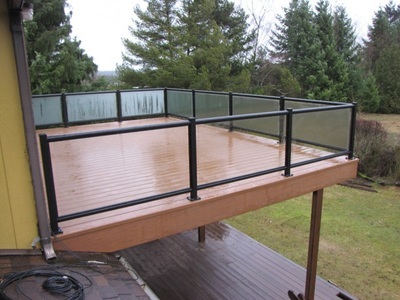 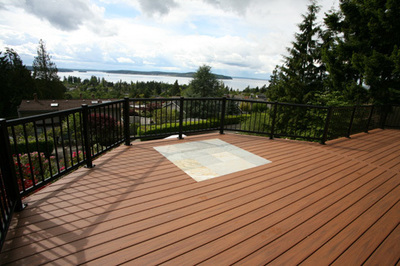 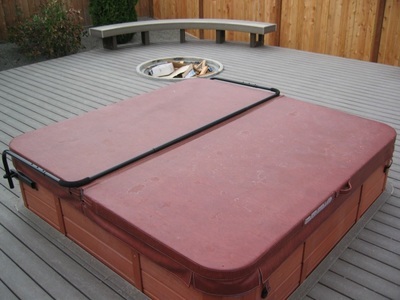 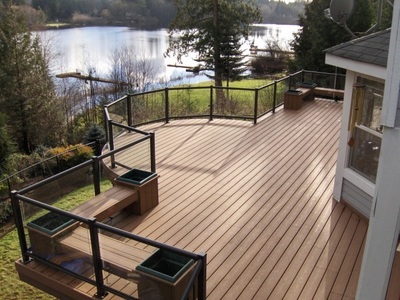 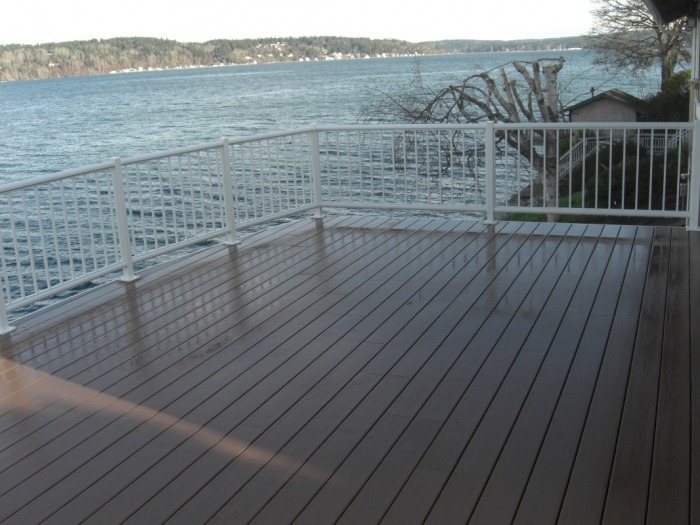 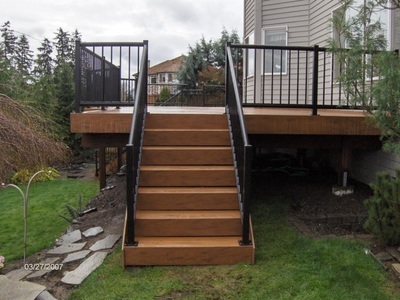 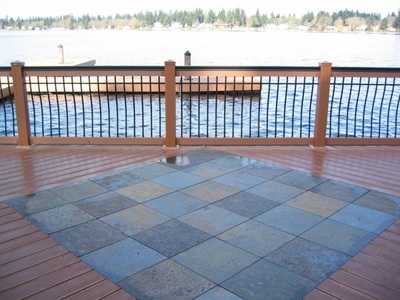 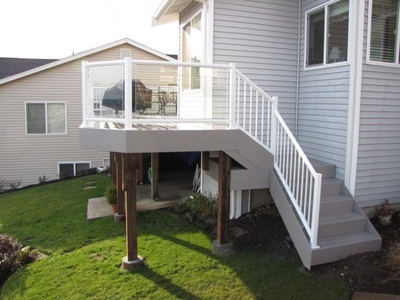 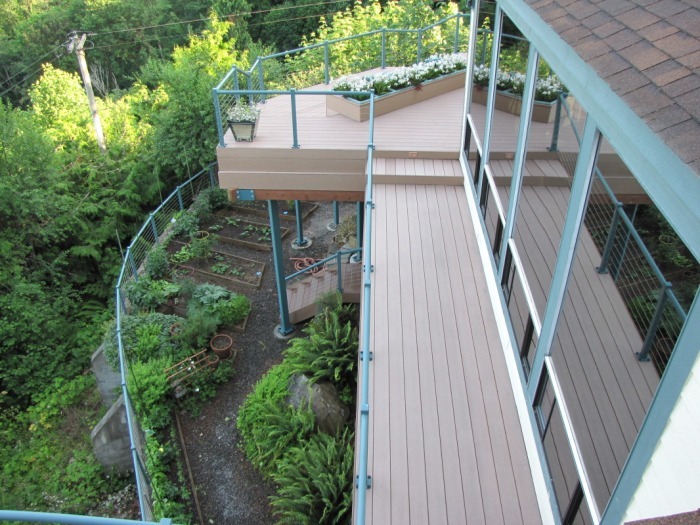 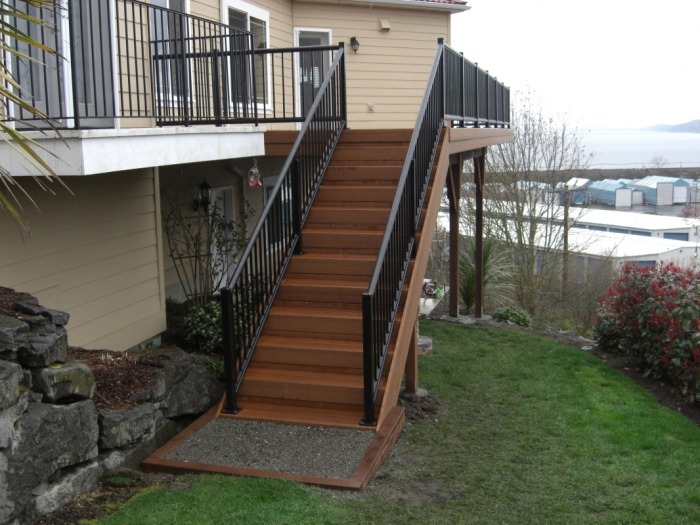 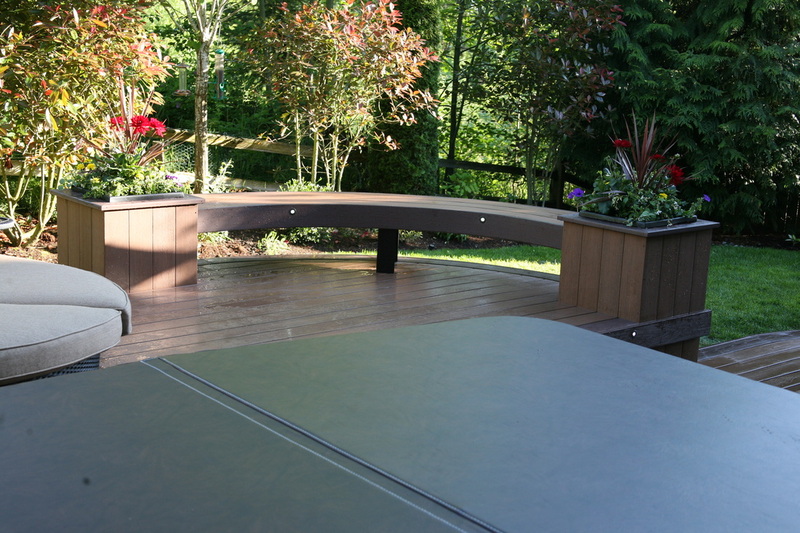 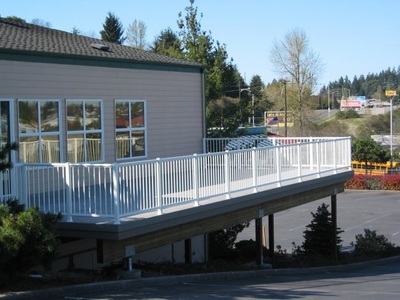 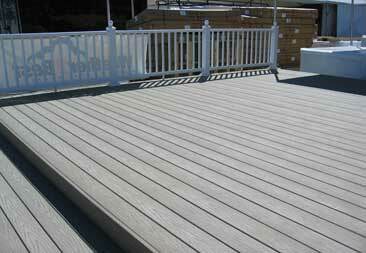 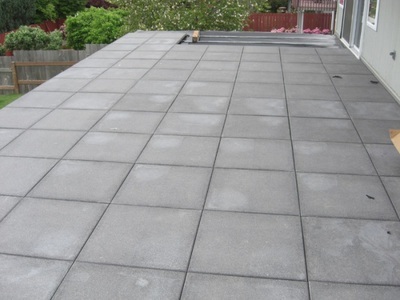 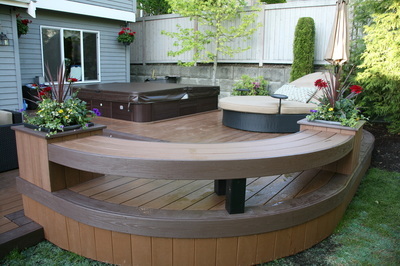 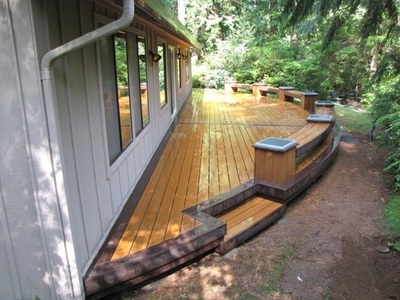 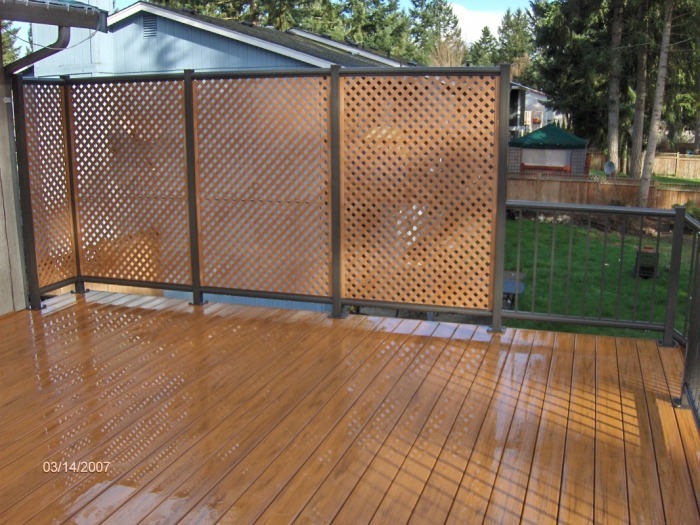 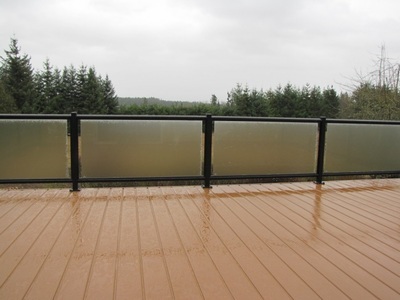 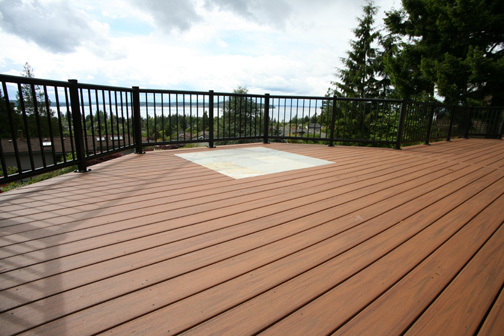 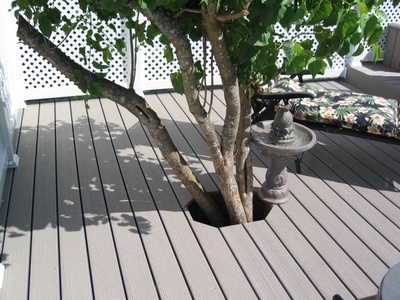 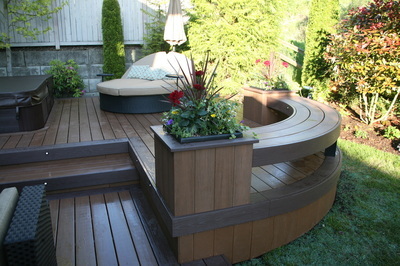 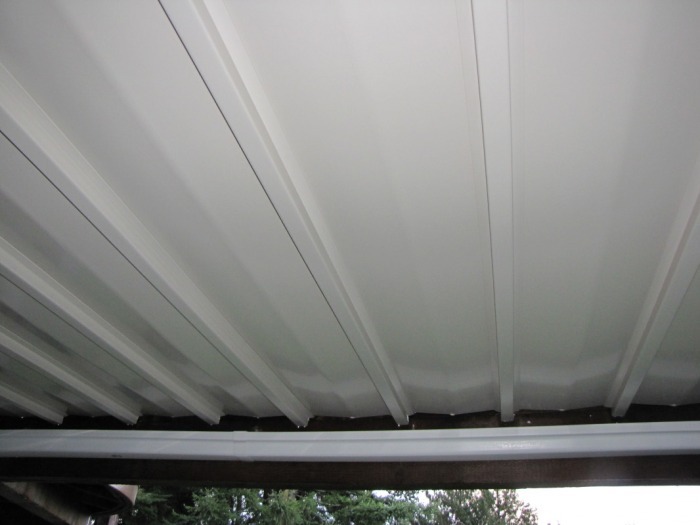 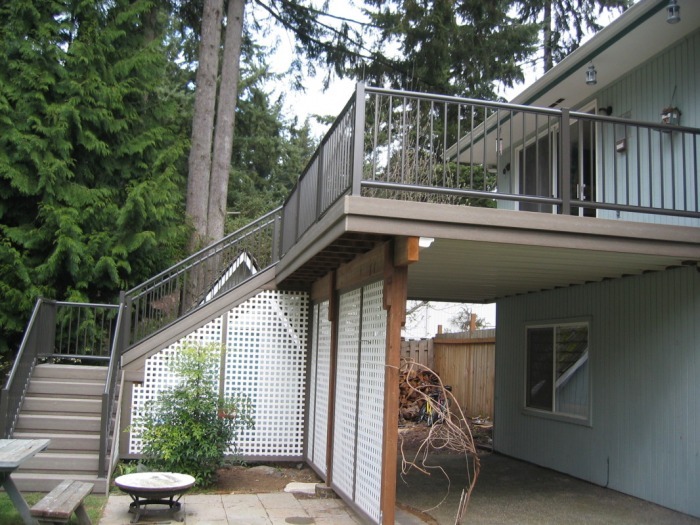 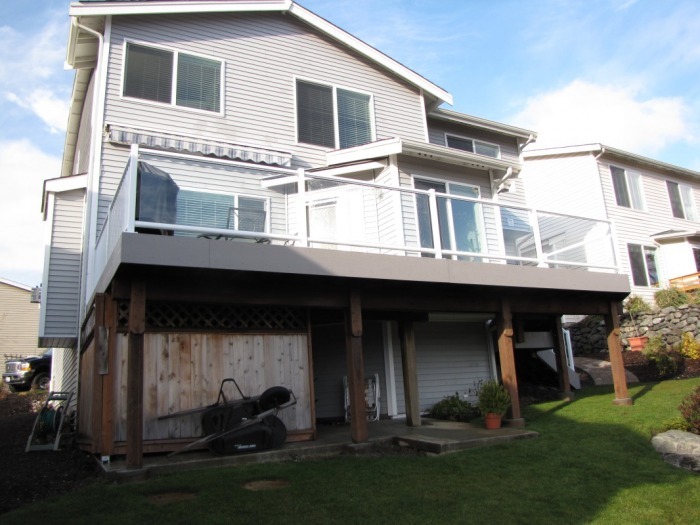 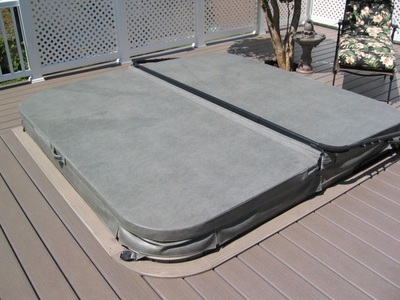 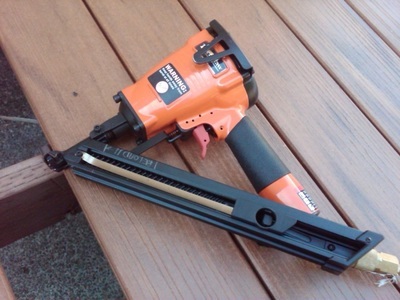 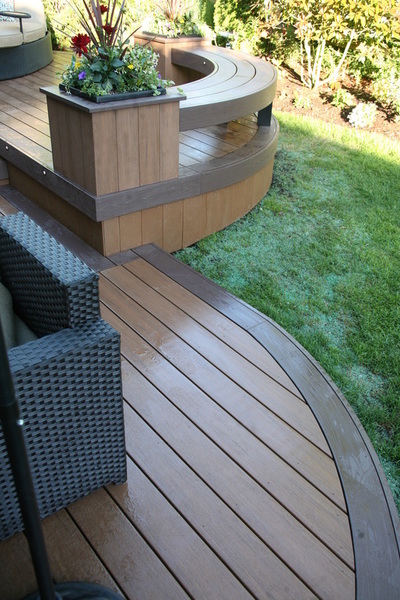 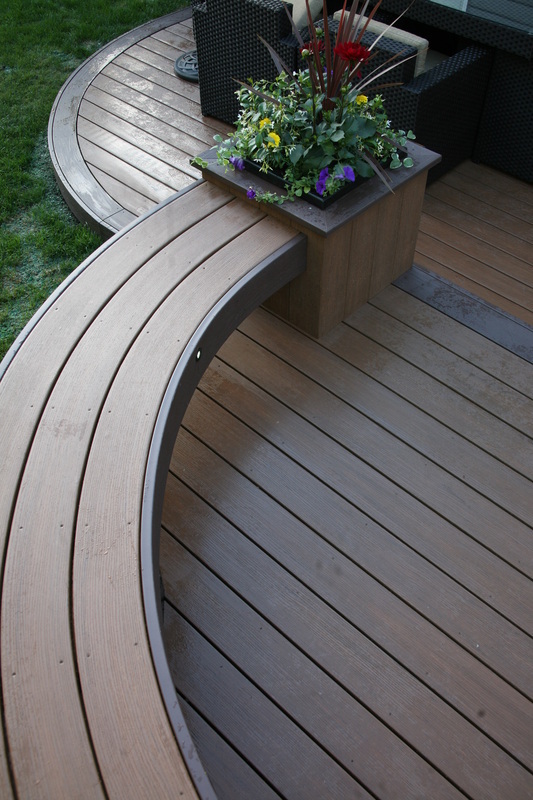 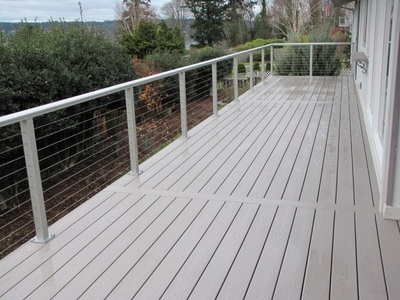 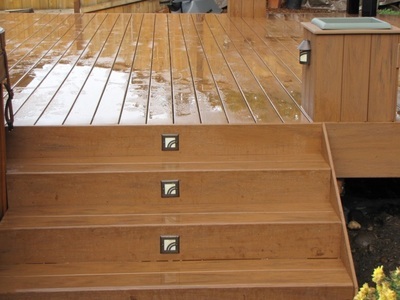 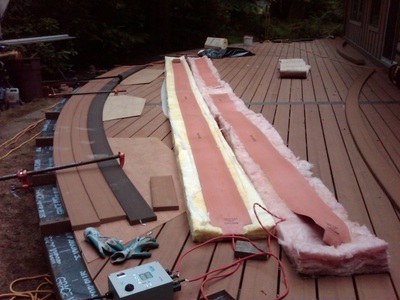 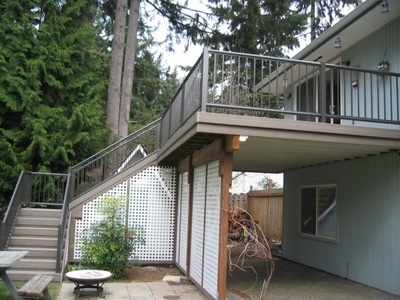 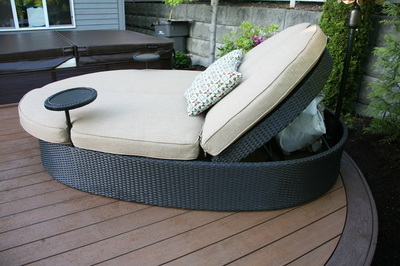 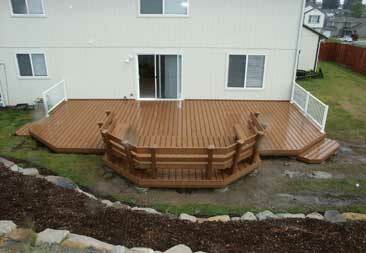 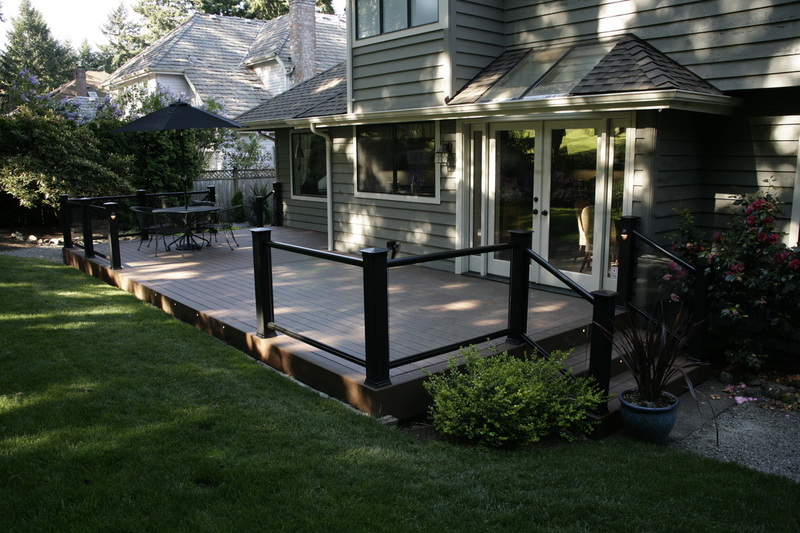 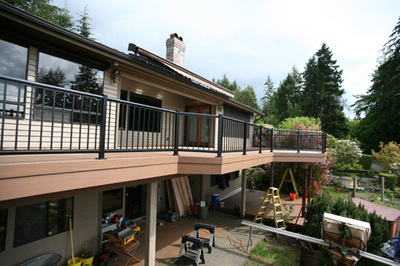 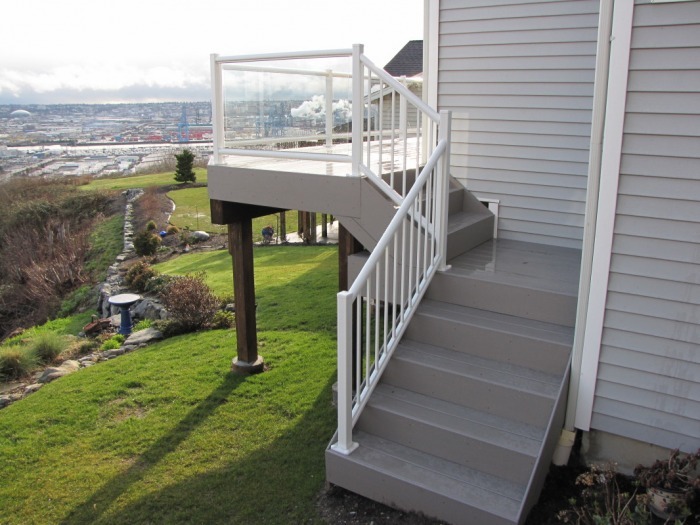 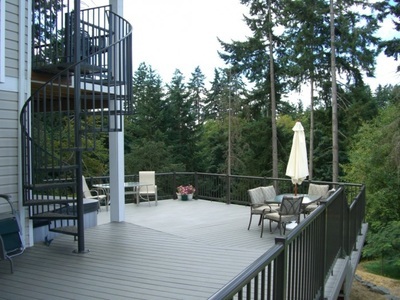 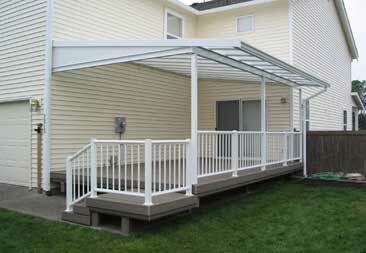 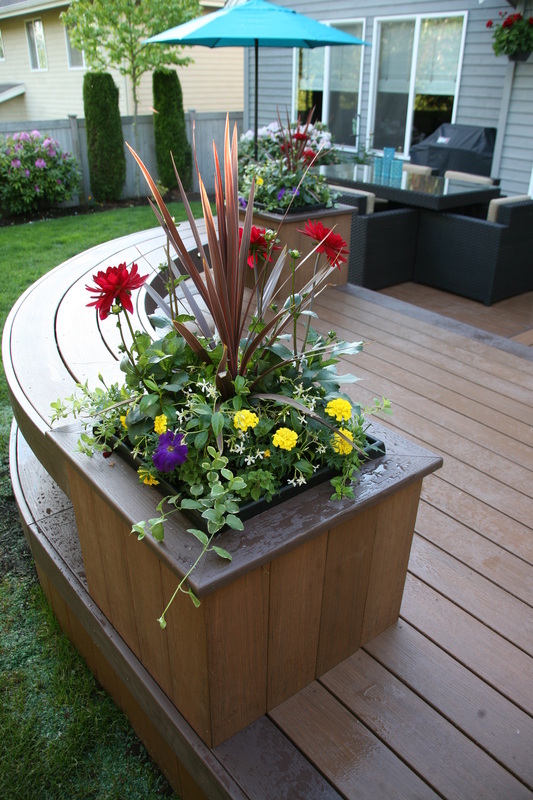 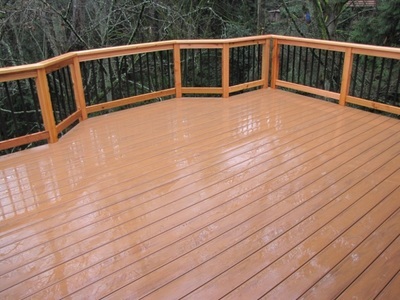 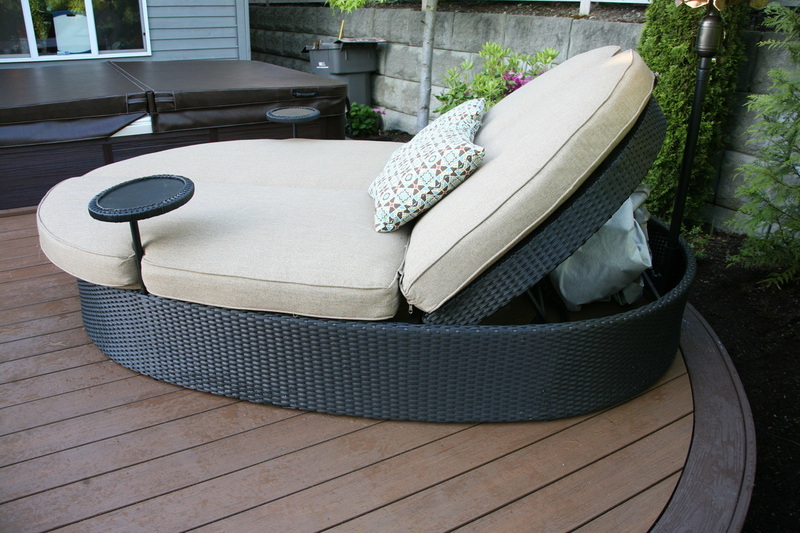 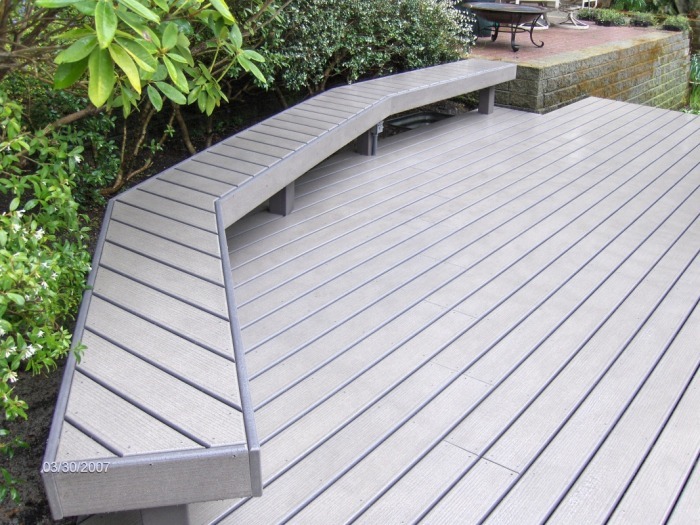 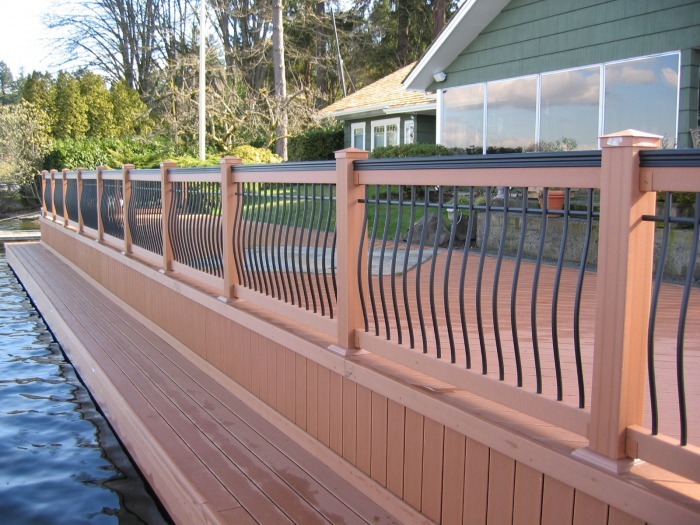 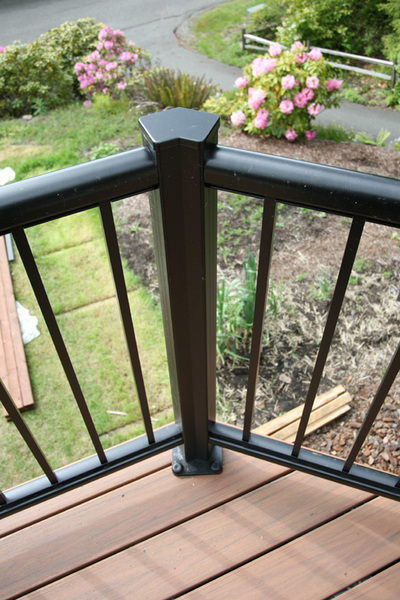 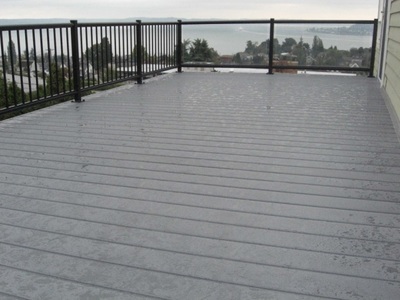 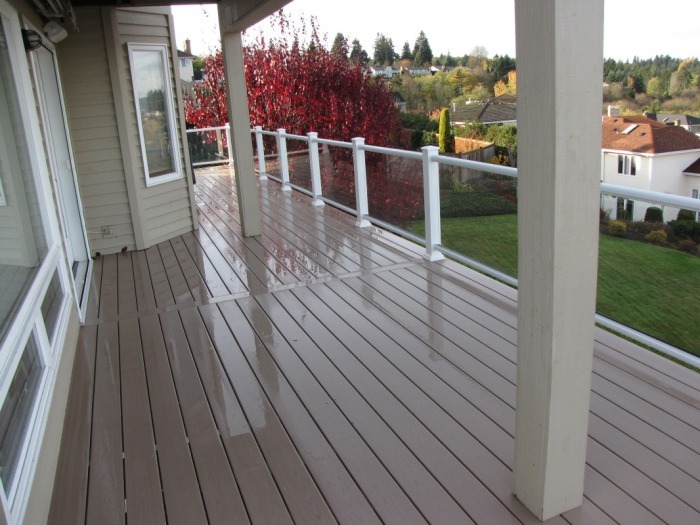 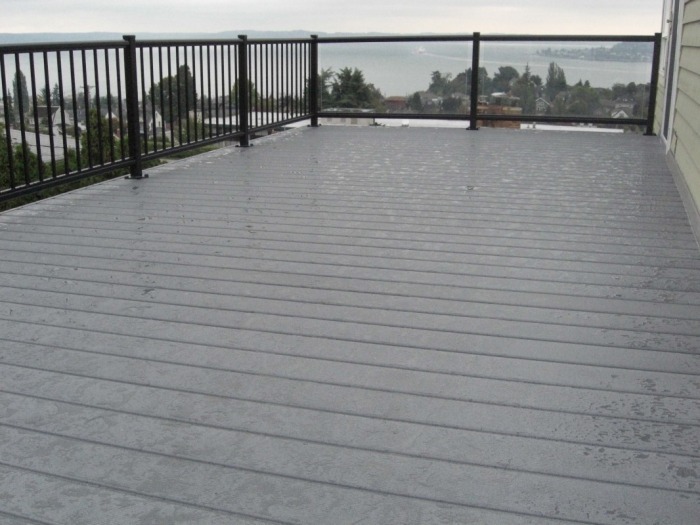 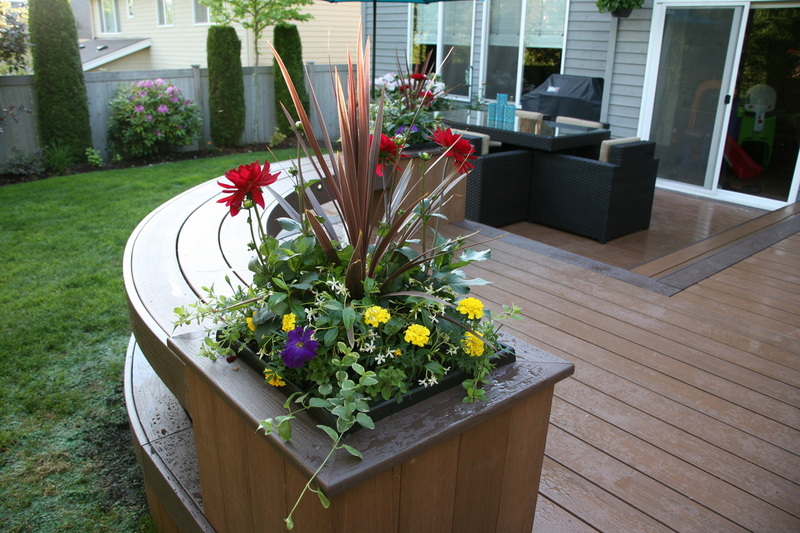 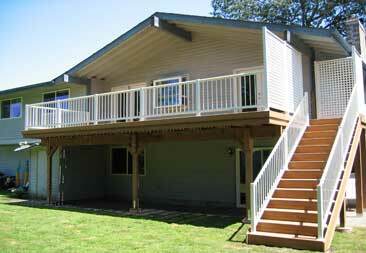 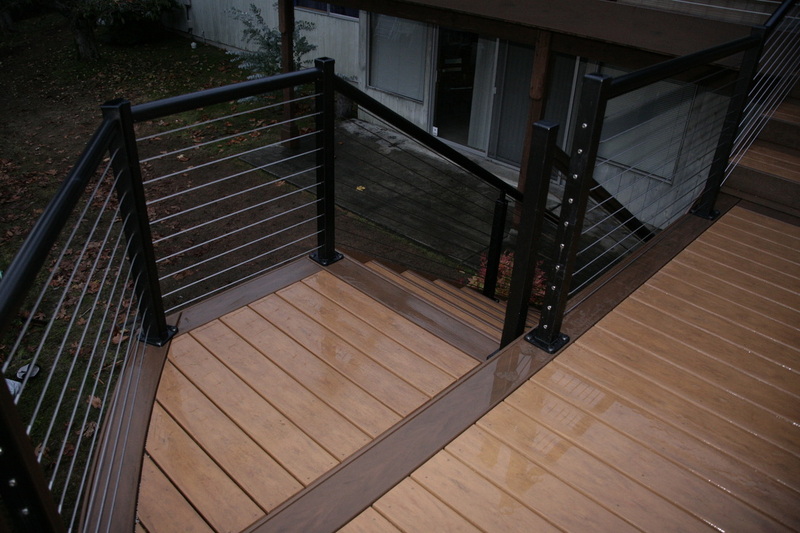 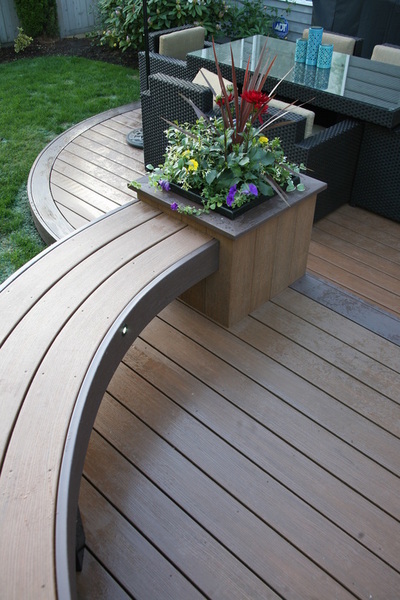 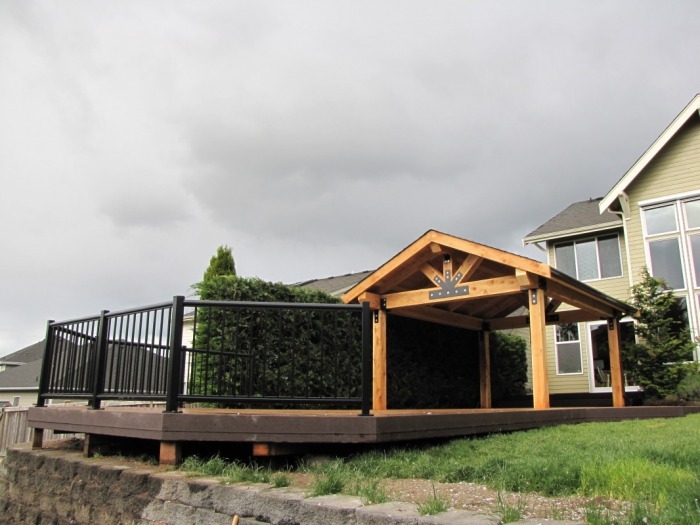 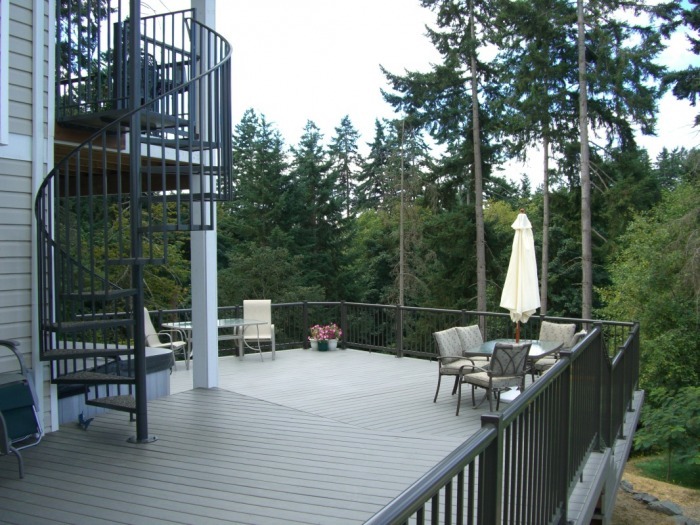 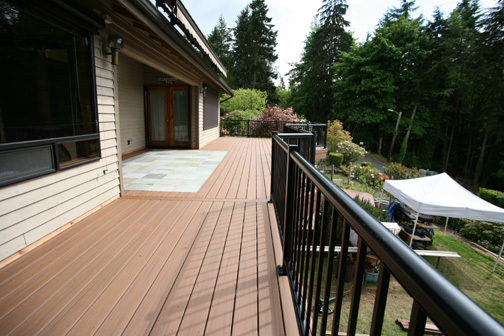 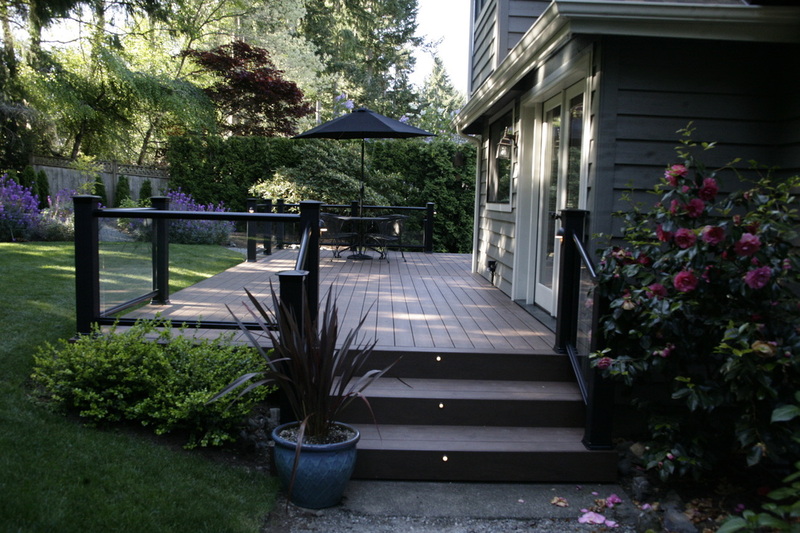 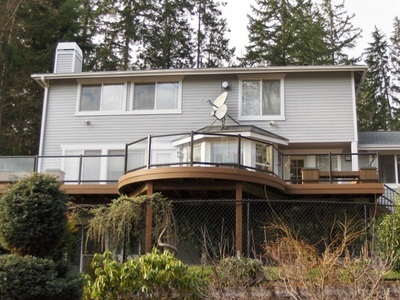 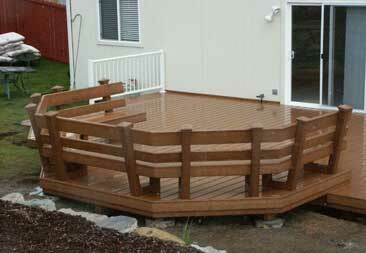 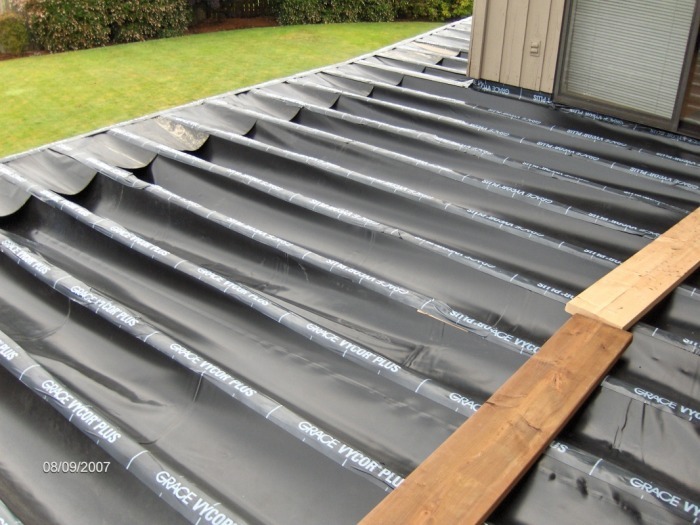 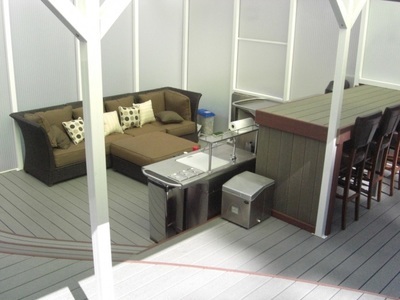 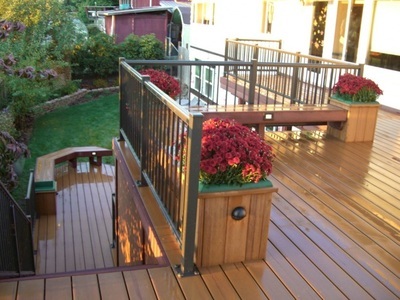 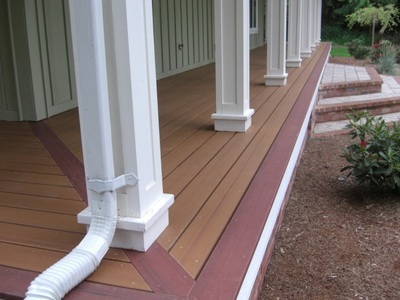 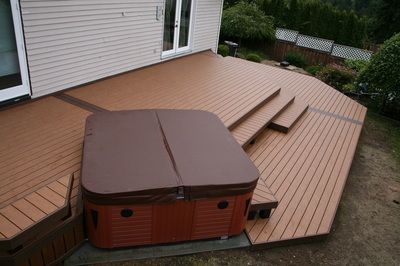 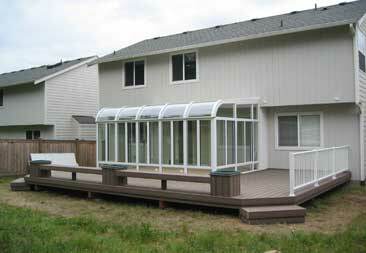 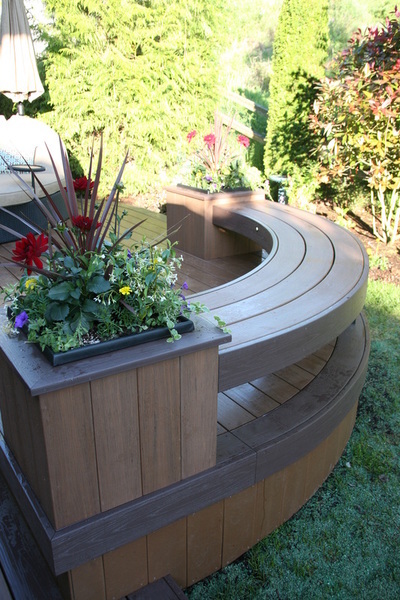 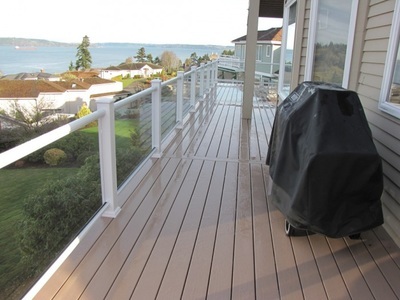 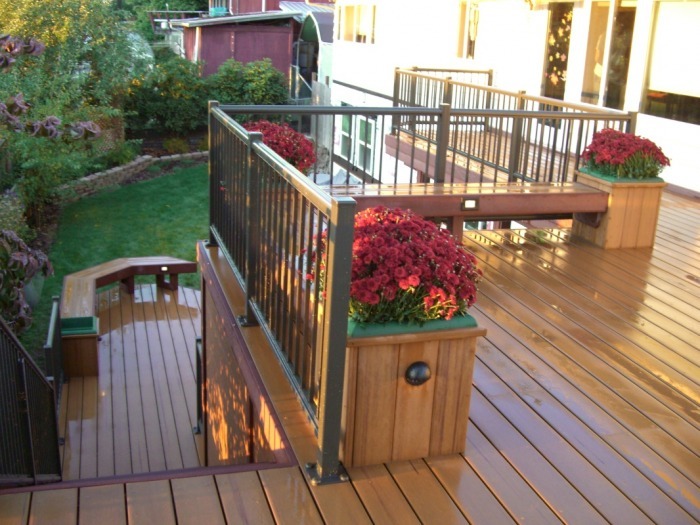 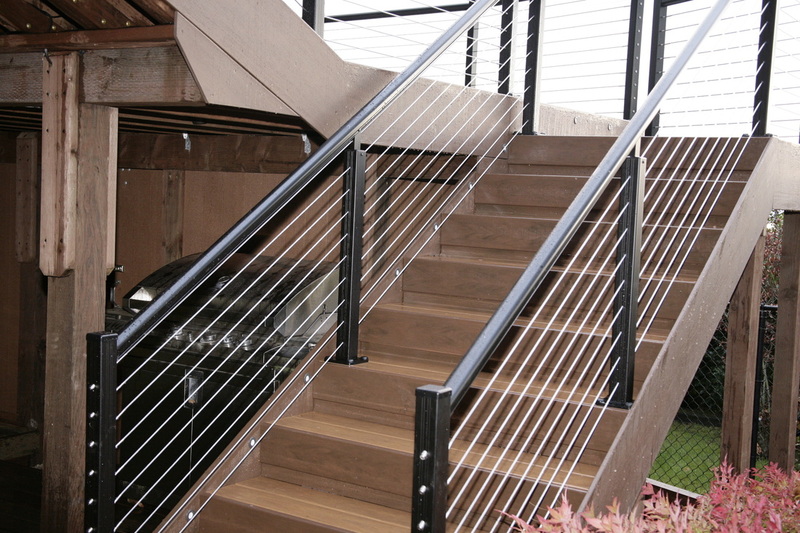 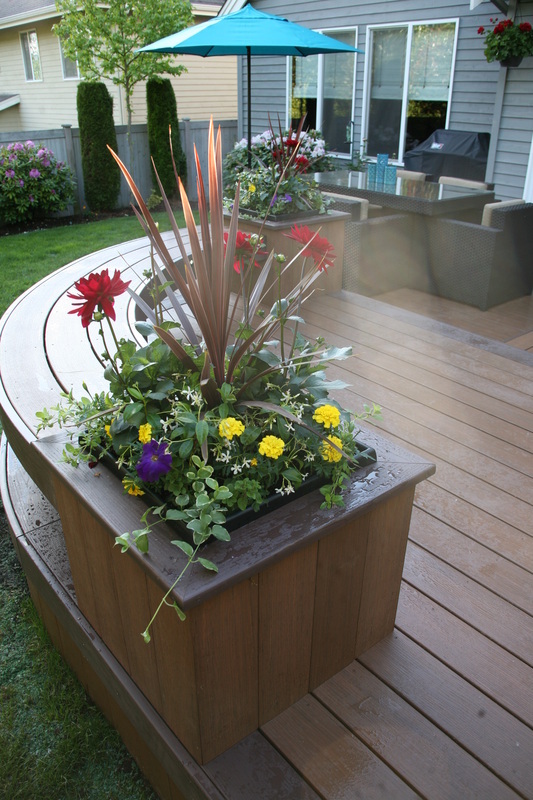 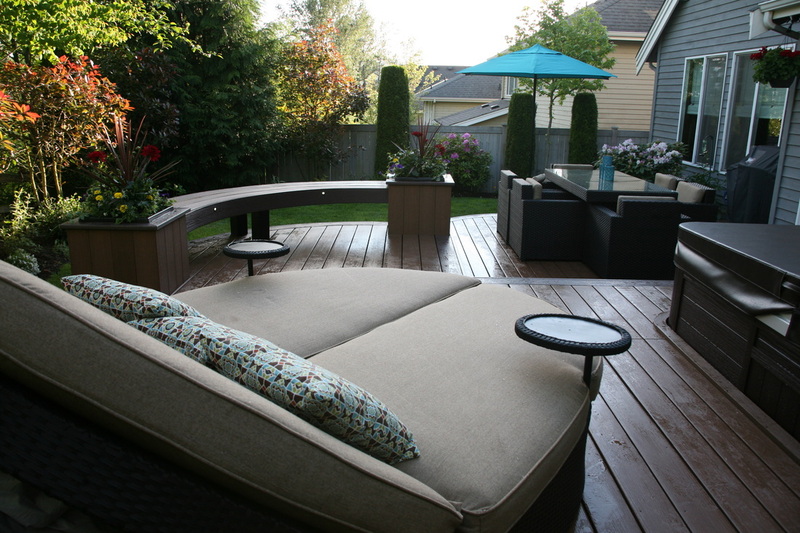 Composite/PVC Decks are also a breeze to maintain, so you'll spend more time relaxing on your deck instead of working on it. 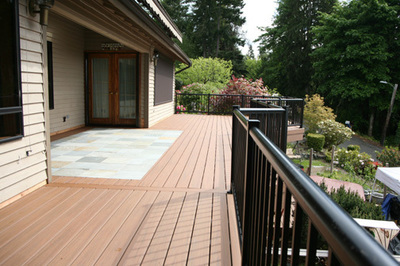 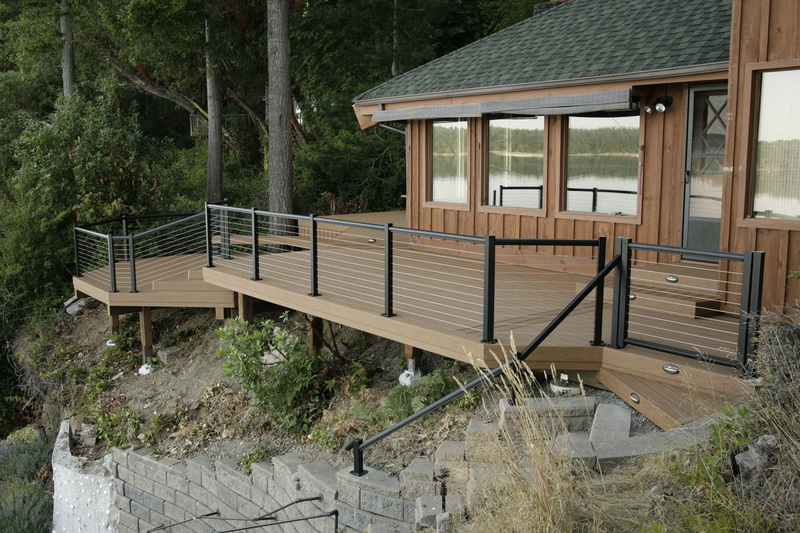 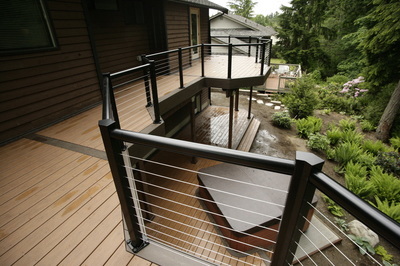 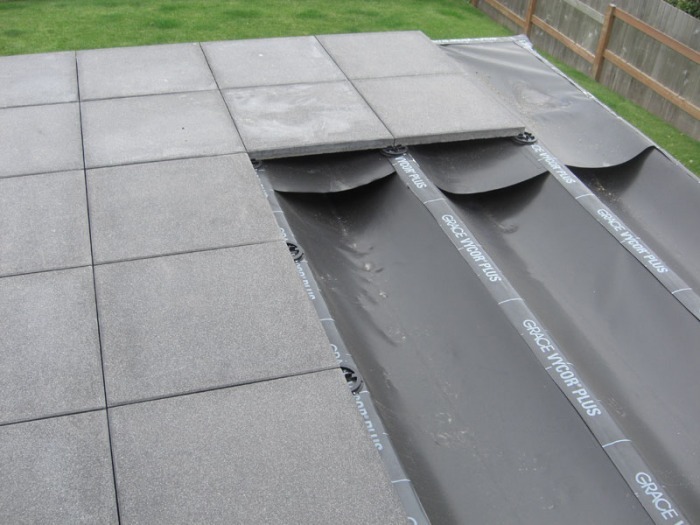 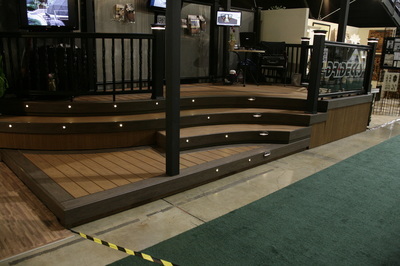 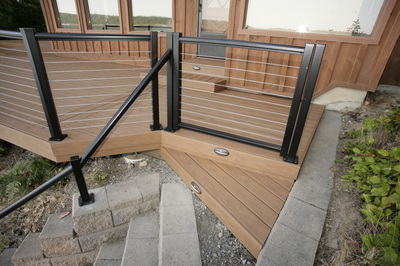 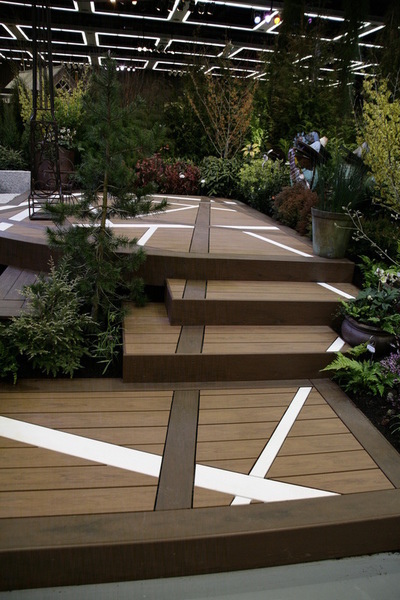 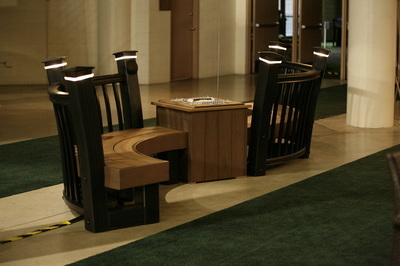 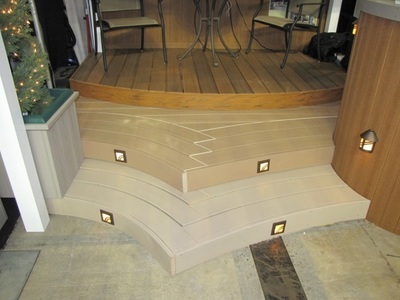 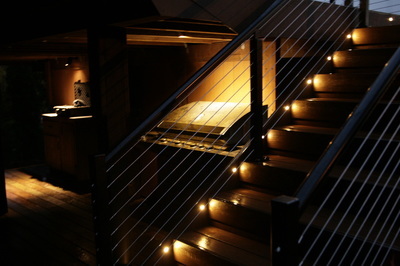 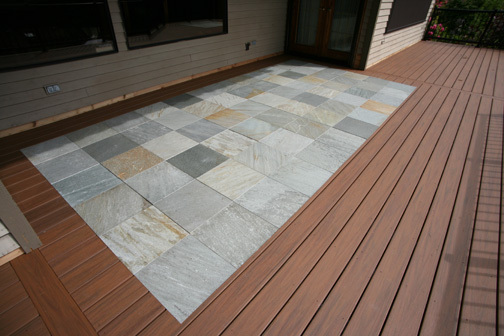 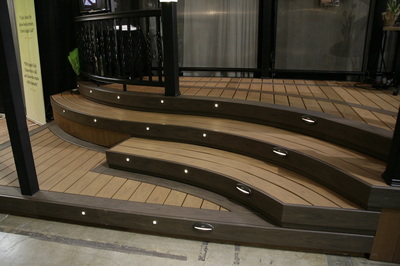 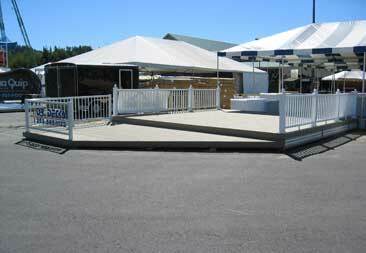 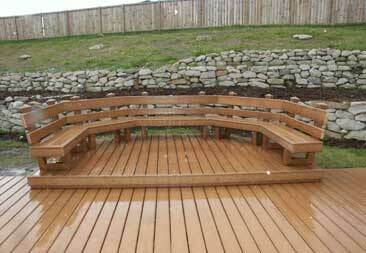 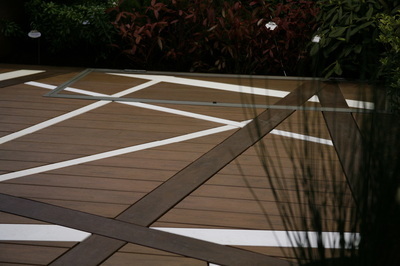 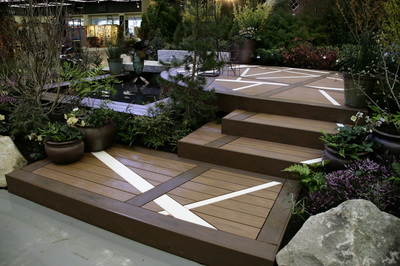 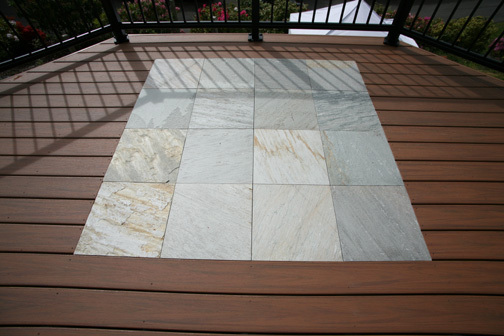 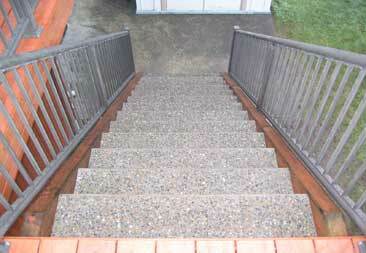 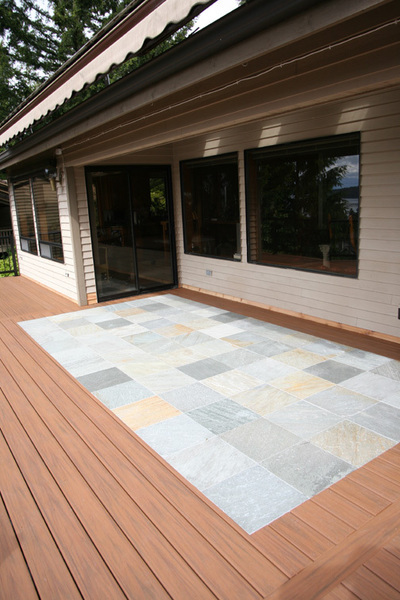 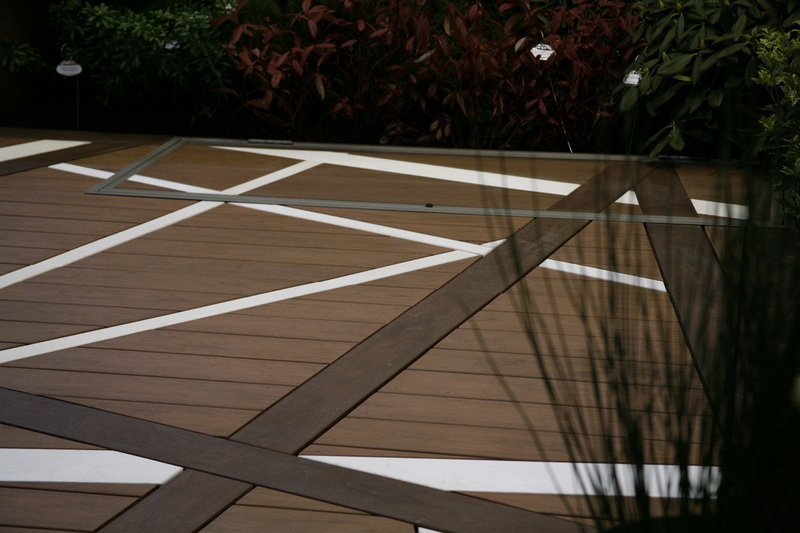 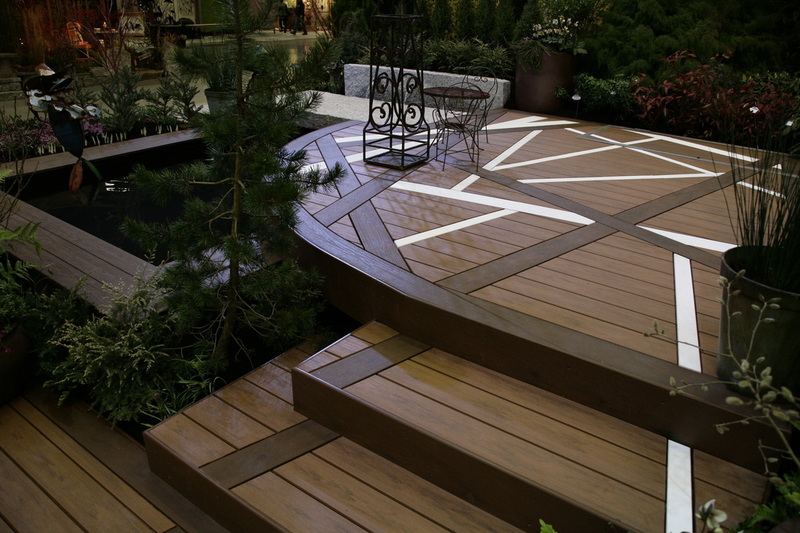 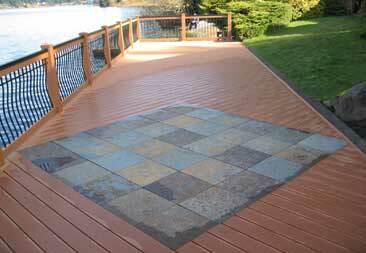 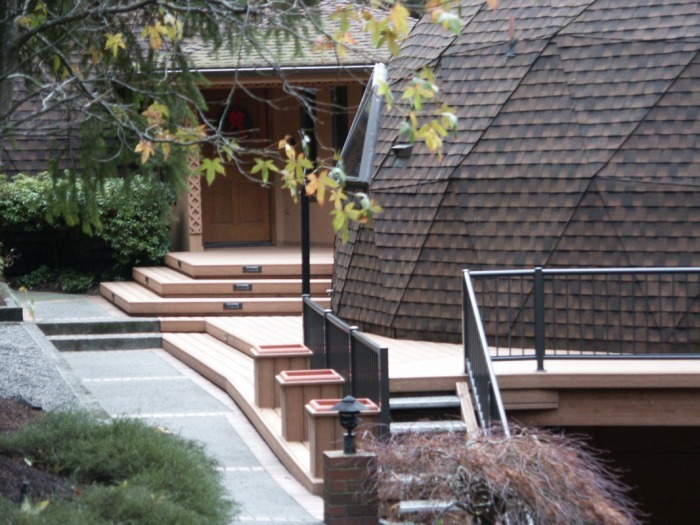 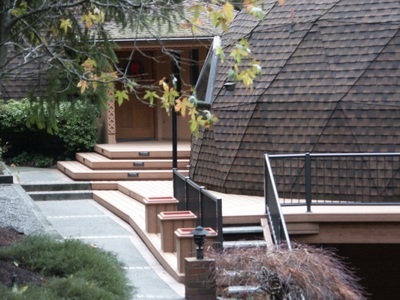 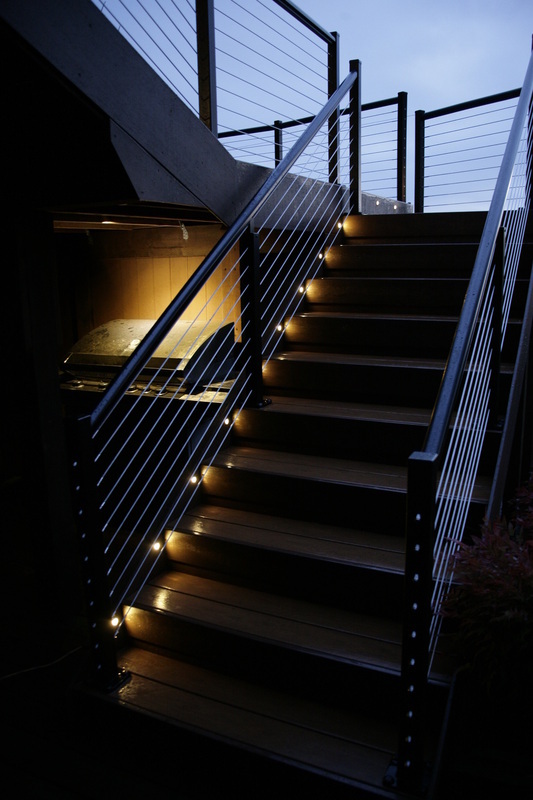 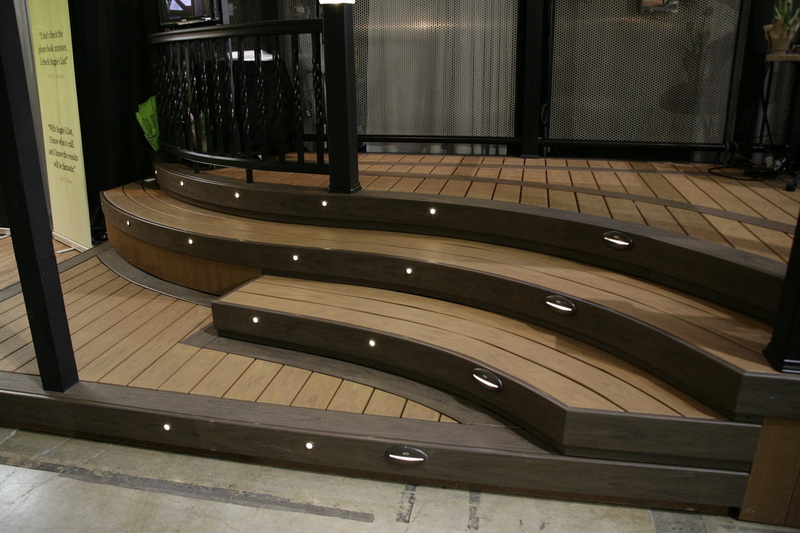 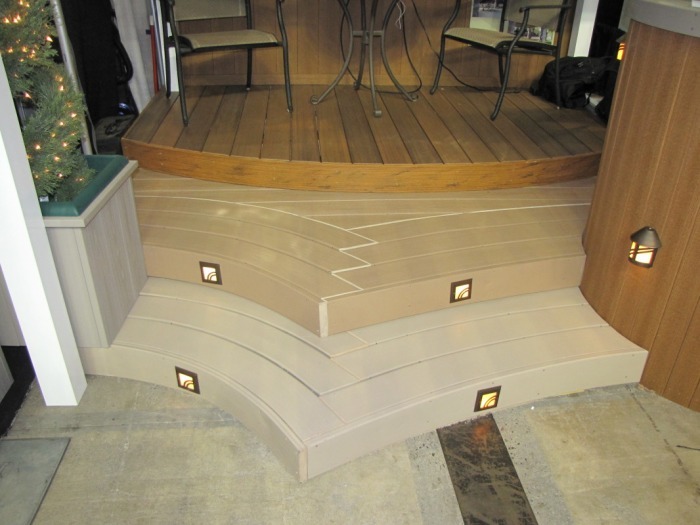 Composite decks are soft and smooth to the touch, so feel free to kick off your shoes and make yourself at home…outside. 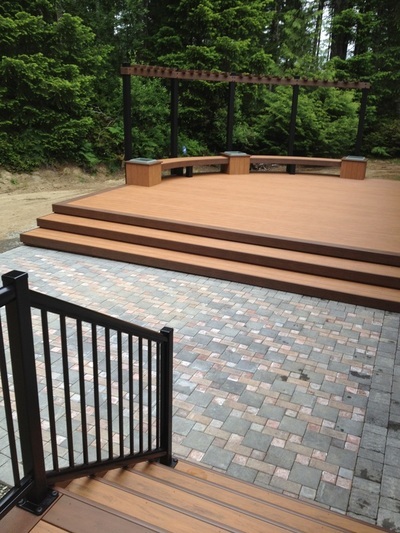 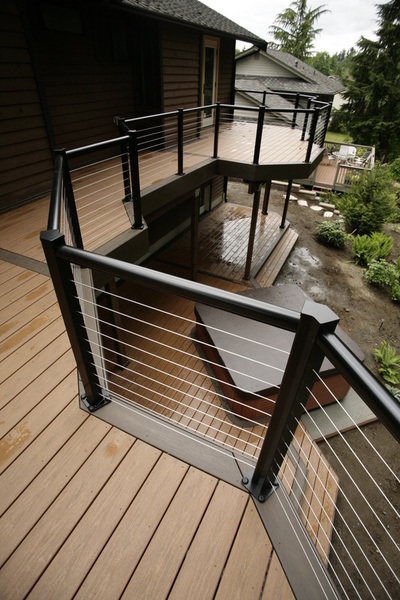 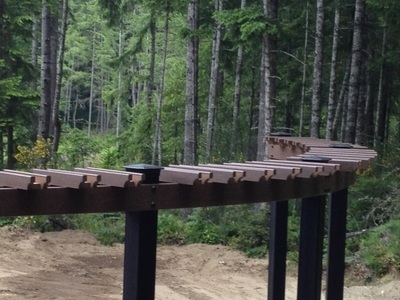 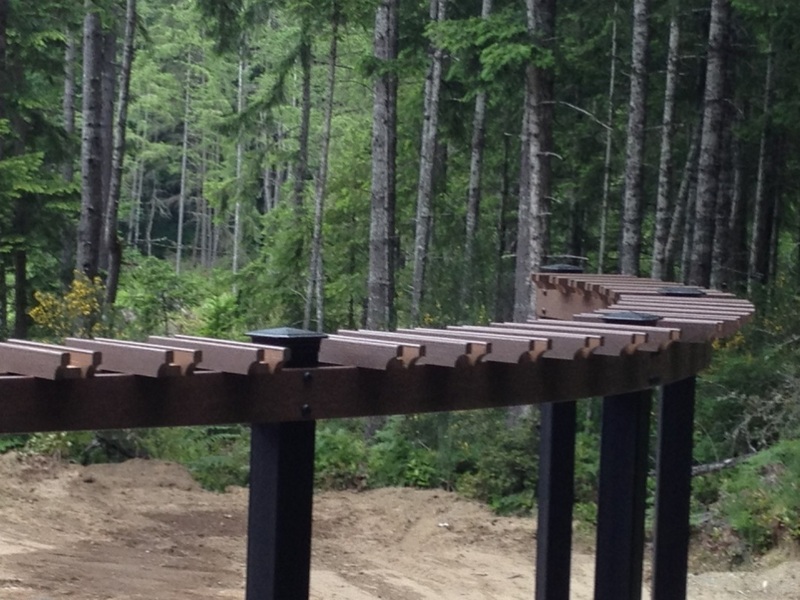 Azek, Timbertech, Wolf, Trex, Fiberon and many other composite decks allow more creative freedom than conventional decking materials. 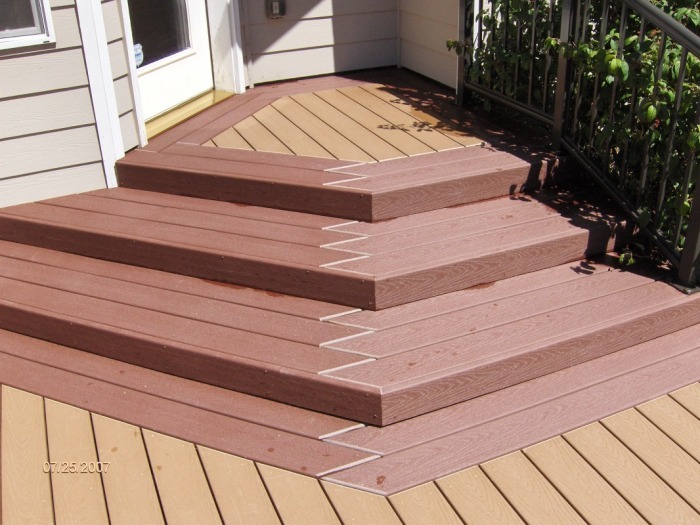 Style options include not only the ability to physically bend and shape, but also a variety of colors and textures to choose from when crafting your perfect deck.